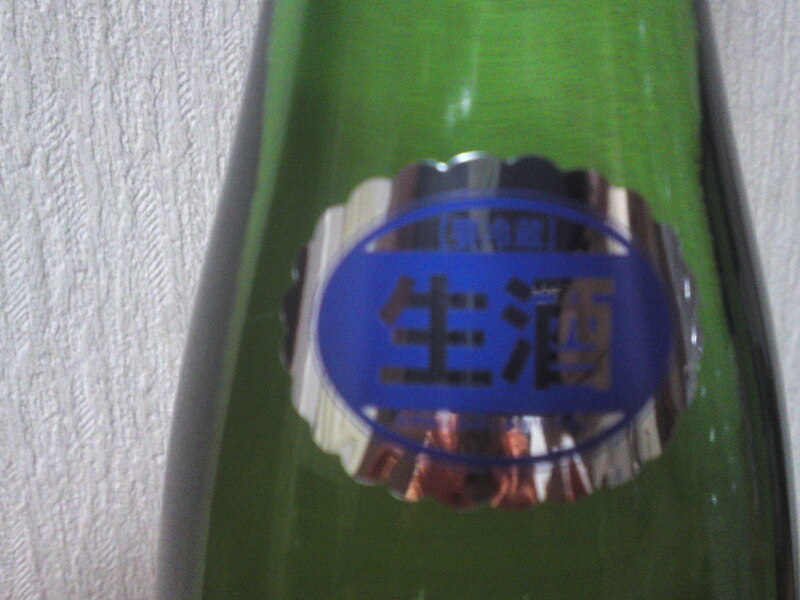 This time I tasted another brew by Fujinishiki Brewery in Fujinomiya City! 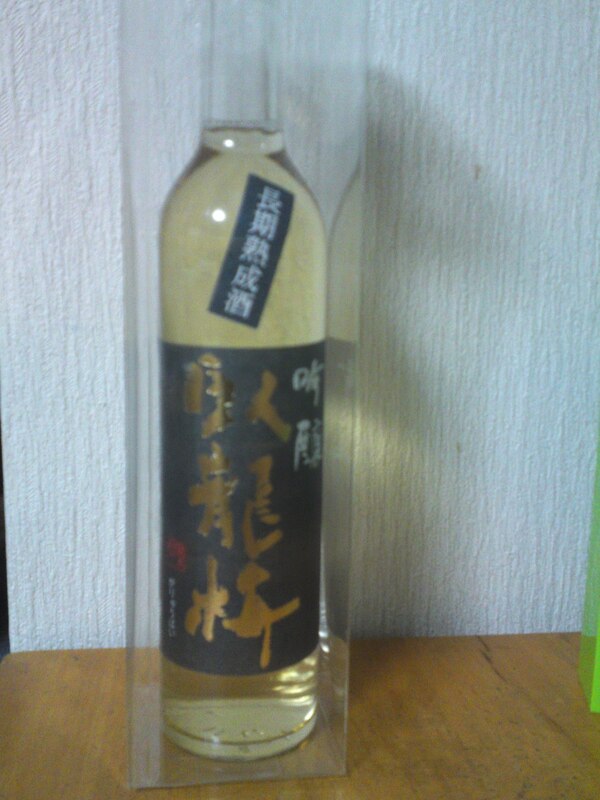 It is a Junmai Genshu Nama called “Juku/塾/Matured”! 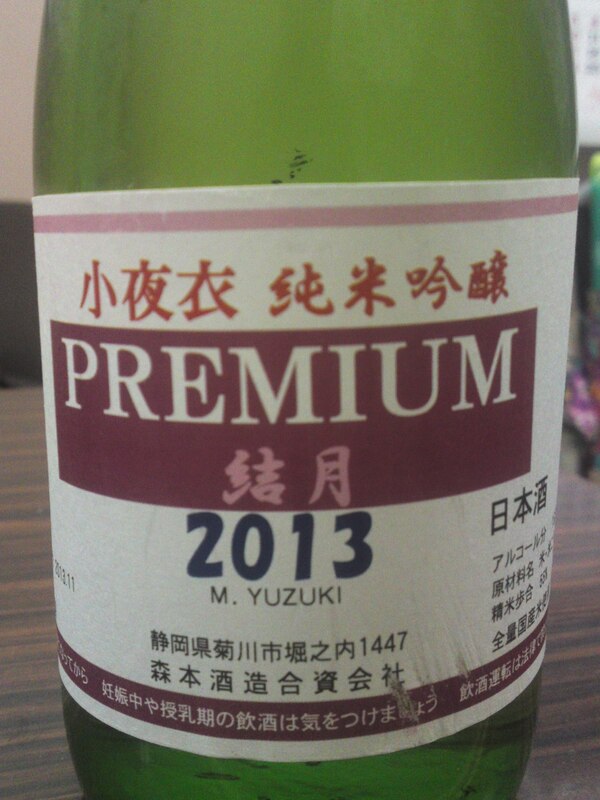 Taste: dry and mellow attack at first backed only with a little junmai petillant with some welcome acidity. Complex: custard, peach, figs, chestnuts. Lingers for while warming up the back of the palate before departing on a strong dark chocolate appearance. 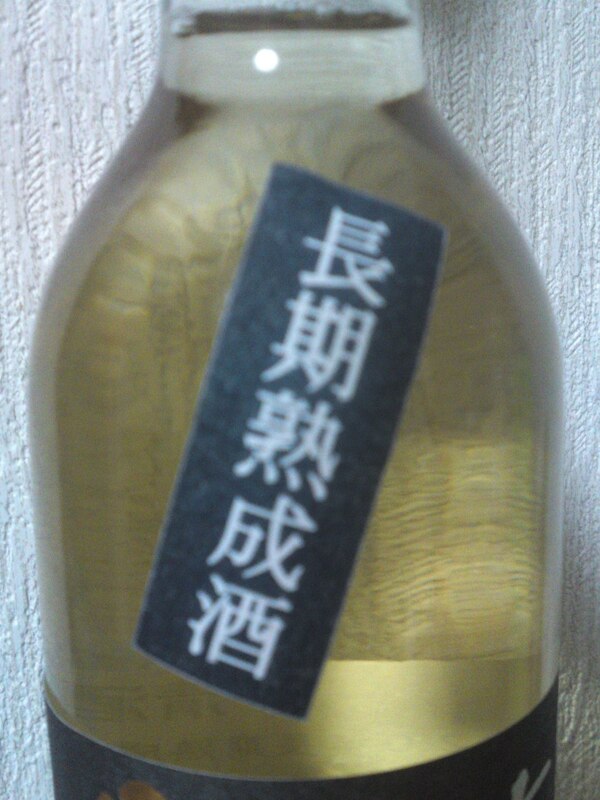 Very easy to drink in spite of its high alcohol contents. 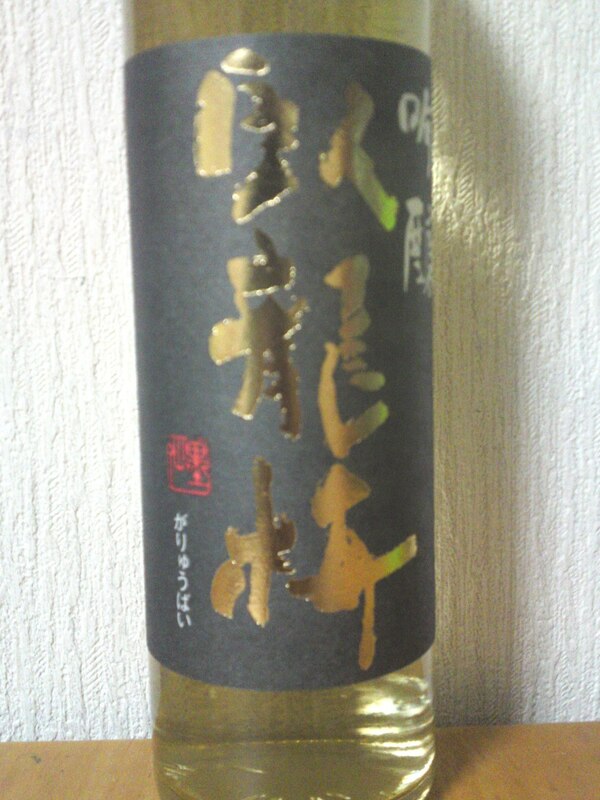 Overall: a very intriguing sake you can enjoy as a high class mellow white wine! Will splendidly marry with practically any food. 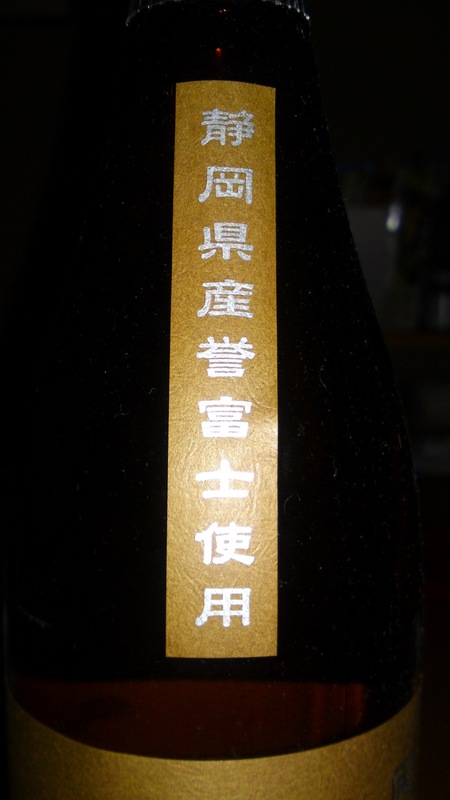 Stays complex all the way through and showing ever-changing facets probably due to the unusual rice and the high alcohol contents. 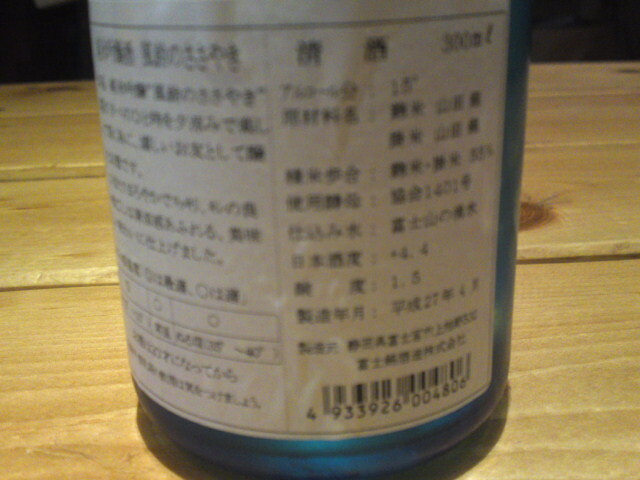 Very unusual for a Shizuoka Prefecture sake. 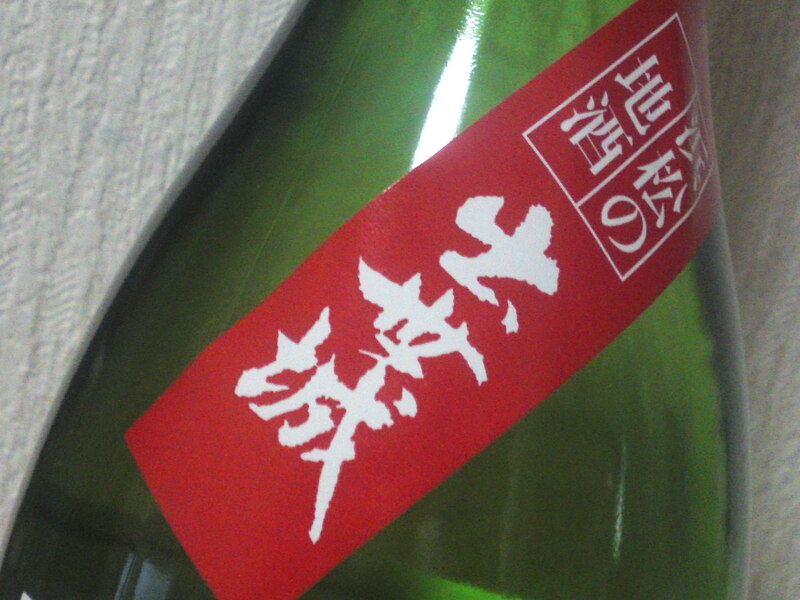 A must-try not only as a sake but as a high class beverage for a whole meal. You will overwhelm your guests! Recommended pairings: ebi shumai, oden, cheese, chawanmushi, yakitori, terrines and pate. 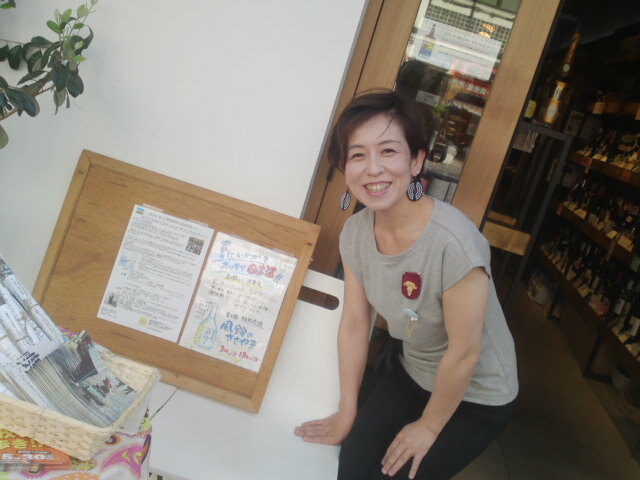 This time I tasted a brew by Fujinishiki Brewery in Fujinomiya City! 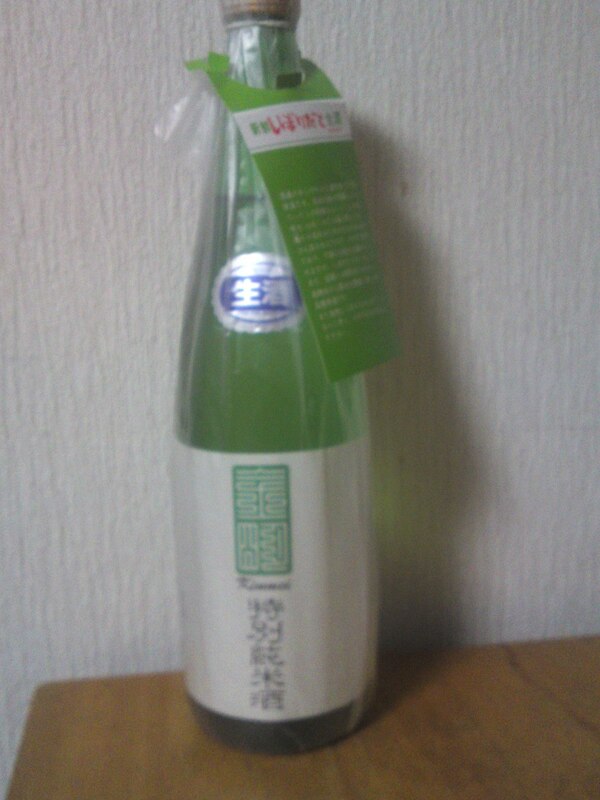 This is a Hiyaoroshi, that is a sake pasteurized only once before bottling only. 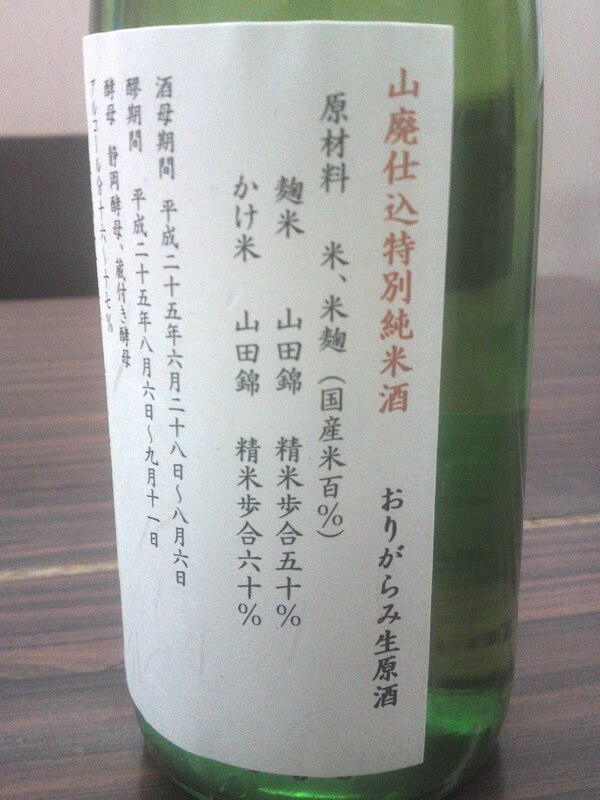 It is not only a junmai but also a genshu, that is no pure water was added! 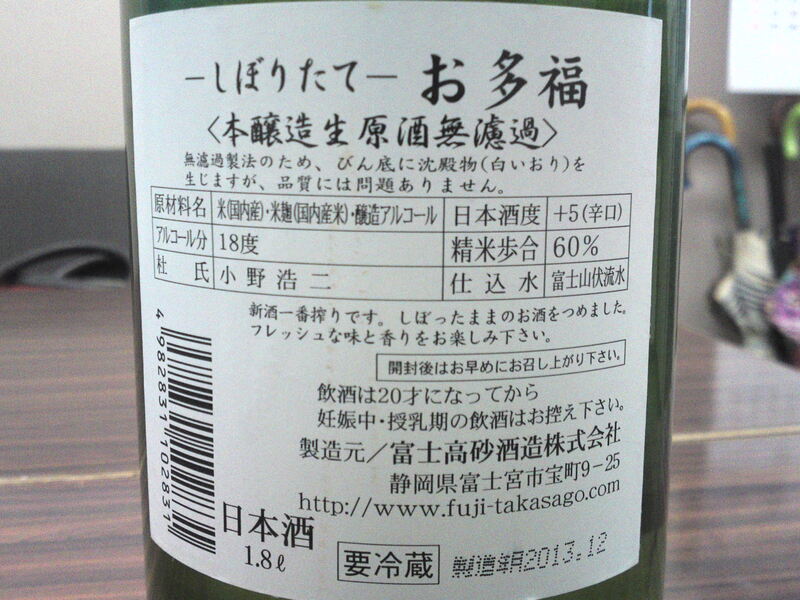 Easy to drink in spite of its high alcohol content thanks to the Shizuoka yeast. Lingers on for a while warming up the back of the palate. Varies little with food but for a drier finish. 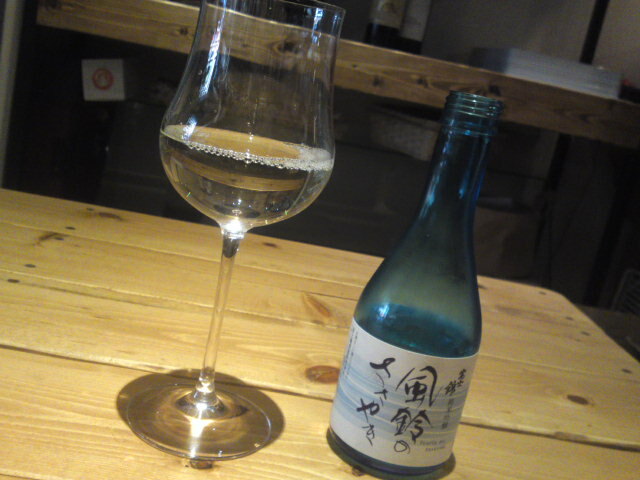 Insistently asks for the next sip and cup, a true sign pf a good sake. 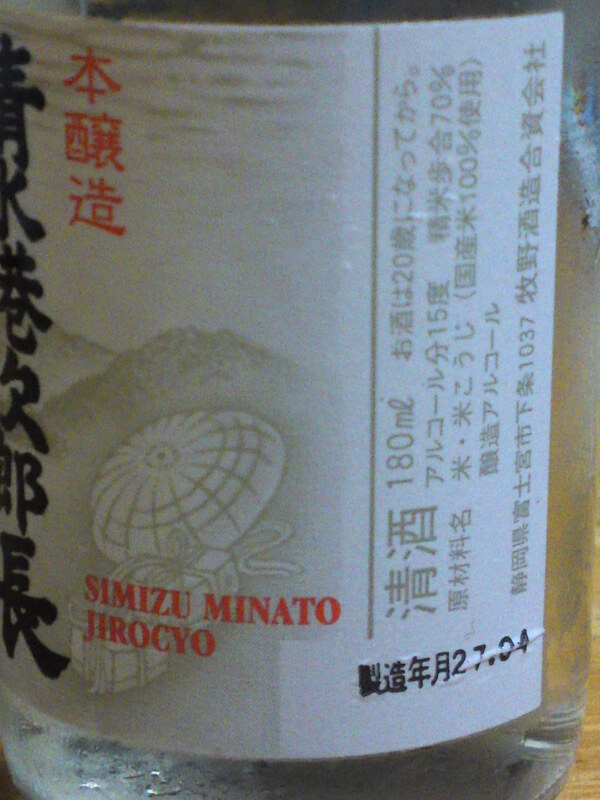 Overall: Intriguing, complex and very pleasant sake! 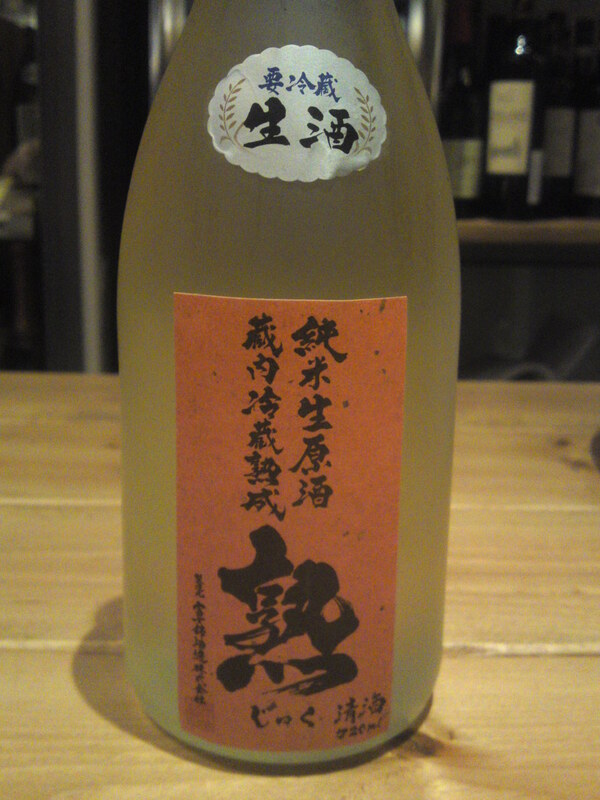 The type of sake you can enjoy during a whole meal from starters to desserts as an almighty white wine! Suggested pairings, especially when slightly chilled: soft-style creamy cheese and nuts, cashew nuts, Japanese pickles. As a general rule I always take notes when drinking sake in a Restaurant or bar in Shizuoka Prefecture (and very often elsewhere!) 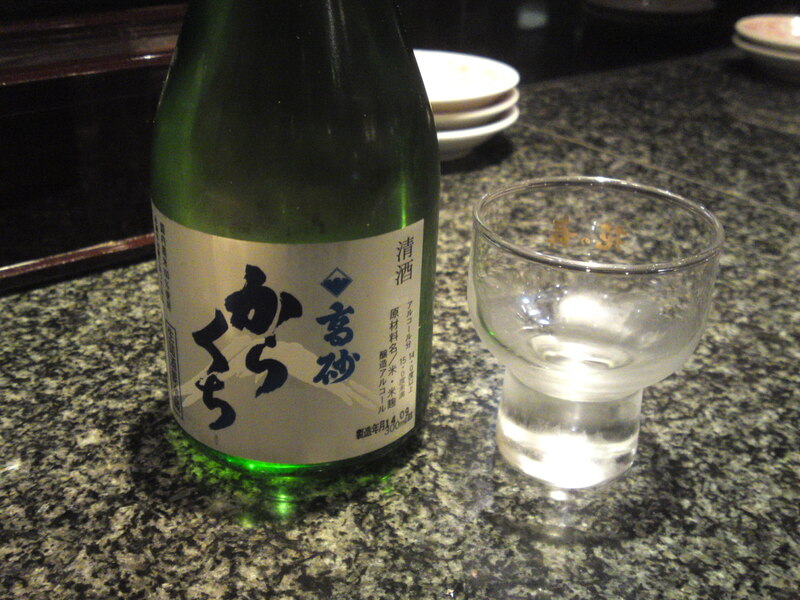 as some of the same sake are impossible to find elsewhere because they are brewed on order. I found this particular one at Uogashi Sushi restaurant inside the ASTY Mall in Shizuoka City JR Station! There are no indications as toward its status although I suspect it is a honjozo. 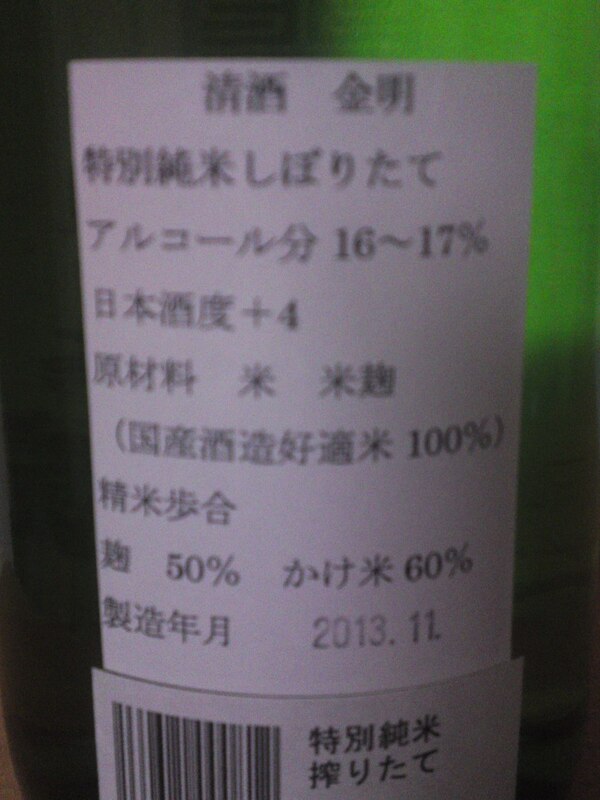 It certainly tasted better than expected proving once again the high quality of Shizuoka sake in general! Aroma: assertive. Dry and fruity. Pears. More complex than expected. Pears, almonds, apricots, coffee beans. Lingers on for a little while before departing on s drier note. varies little with food but for a sweeter turn although it will quickly reassess itself to an even drier note. 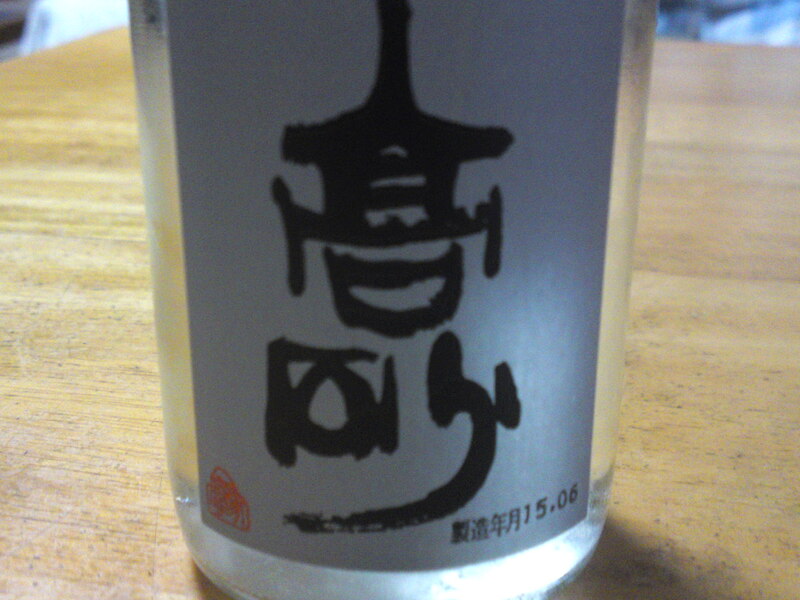 Overall: very solid and reliable dry sake. Superb choice for sushi, considering its very reasonable price. 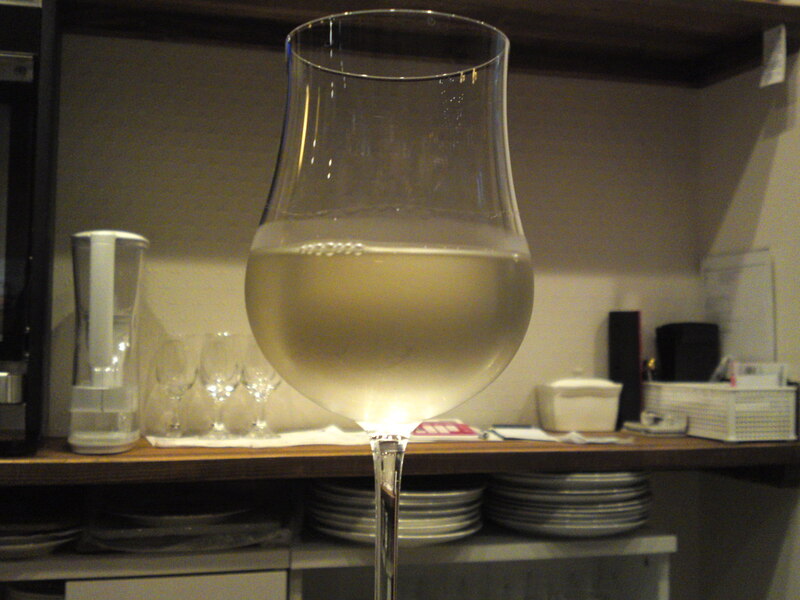 To e enjoyed with izakaya heavy fare, sushi and BBQ! 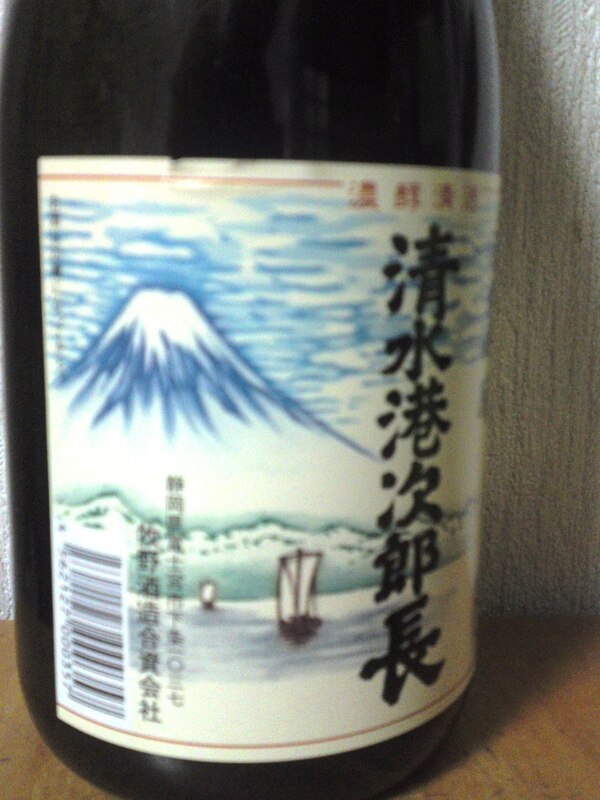 For all simple name, “Junmai Ginjo, this premium sake just released by Fuji Takasago Brewery in Fujinomiya City is a limited brand! It was the last bottle in Matsuzakaya Department Store and the Brewer who happened to be there had to ask the staff to fetch it inside the store room! 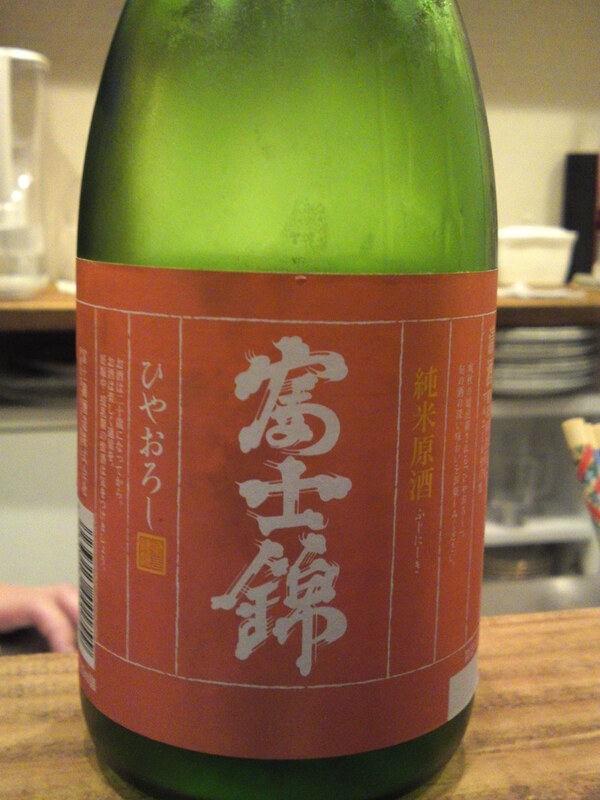 Taste: Well-rounded soft attack with puissant junmai petillanmt. Fruity. Starts on a sweetish note to end up on a very dry turn. Apricots, almonds. Disappears quickly with hints of dark chocolate, vanilla and coffee beans. Turns somewhat sweeter with food but chnages little. 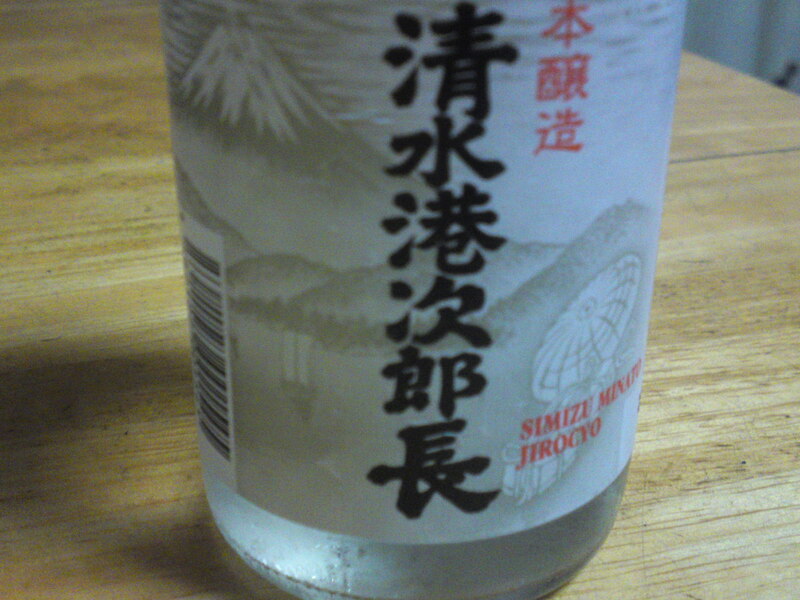 Overall: A superb sake to be enjoyed on its own at room temperature. Could be used as an extravagant aperitif. Marries well with food though. A rare and sure value! 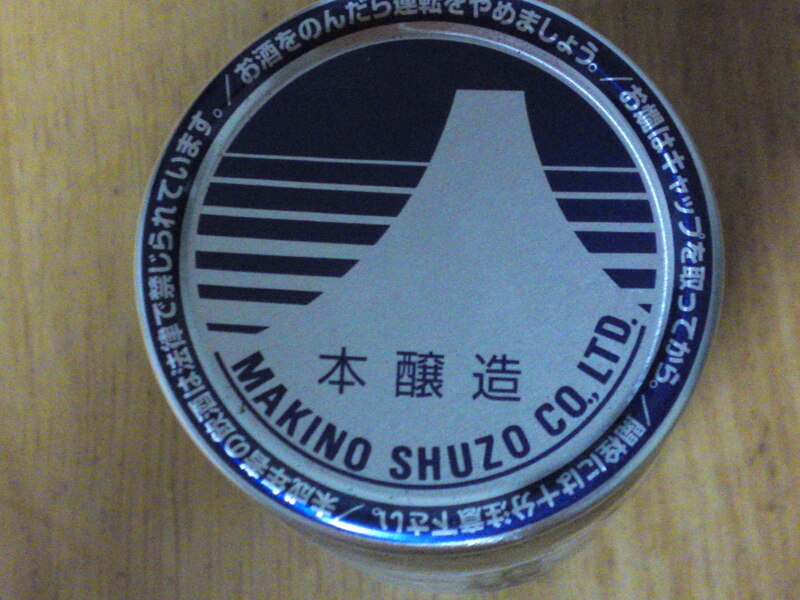 Although Makino Brewery is located in Fujinomiya City at the foot of Mount Fuji, Shimizu Minato Jirochou has been one of their brand names for quite a long time! Shimizu Minato/清水港 means “Shimizu Harbor”, a still importnat harbor nowadays, but a very important one in Edo and Meiji Times. Actually the samurai fighting against Emperor Meiji initiated their retreat from Shimizu Harbor before being finally vanquished, at least officially, in Hakodate! Shimizu Jirochou/清水 次郎長 whose real name was Yamamoto Chyougorou/山本 長五郎 (February 14th, 1820~June 12th 1893 became a local hero during the struggle between the samurai clans and Emperor Meiji when he helped the harbor of Shimizu flourish and his nickname Jirochou eventually became the name of the District in Shimizu City (now Shimizu Ku, part of Shizuoka City) where he was born. One of his exploits was to clean the bay of corpses after a ship crew were assassinated during the civil war and bury them in nearby island. He went as far as running an English language school in Shimizu. But there was a very dark side to him, leading to his fleeing from the authorities and even being imprisoned for 7 years for murder. But legends tend to grow bigger than individuals… many histprians consider him a hoodlum in spite of the many hagiographies and the small museum to his name in Shimizu Ku! 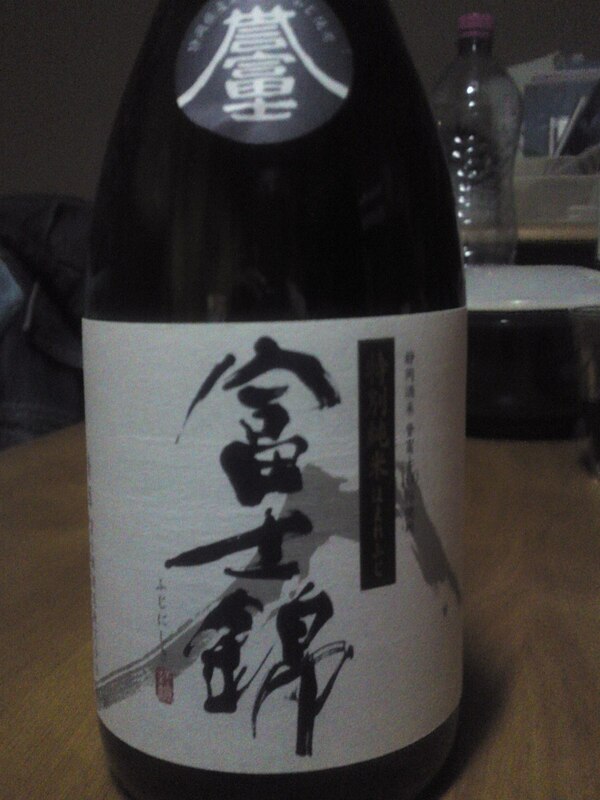 Taste: Strong attack with puissant junmai petillant. Very dry and fruity: apples, custard, almonds, oranges. Disappears quickly on an even drier note. Takes on a milder turn with food, but quickly switches back to its initial dryness. Almonds and coffee beans tend to appear a lot later on the palate. 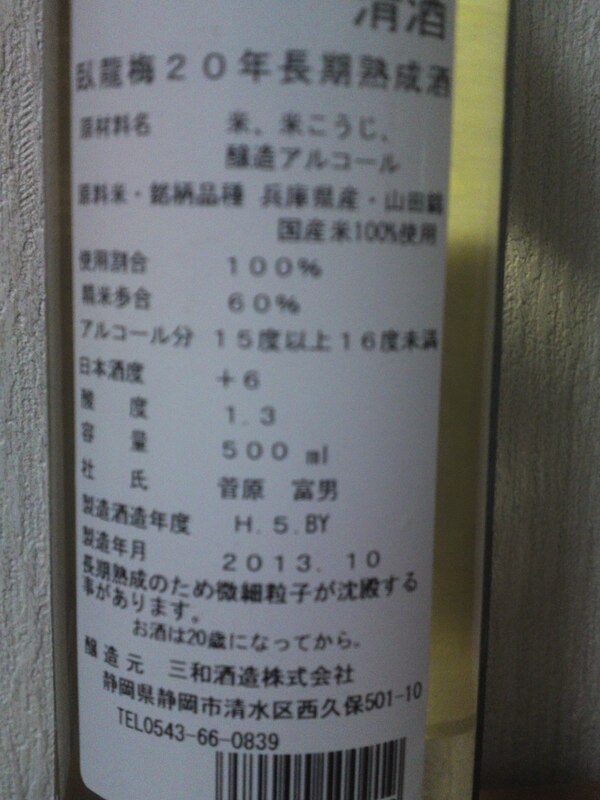 Turns only a little milder as nurukan/lukewarm but shows different facets: chestnuts, custard, nuts, oranges. Dark chocolate making a late appearance. 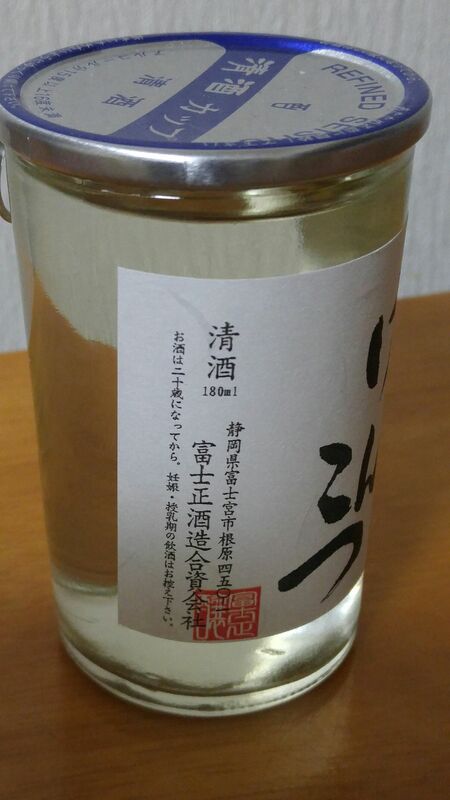 Overall: An “old fashioned sake” away from the norms set by modern Shizuoka sake trends. Solid and dry, obviously conceived for food in spite of its elevated status. Millage is low by Shizuoka standards. 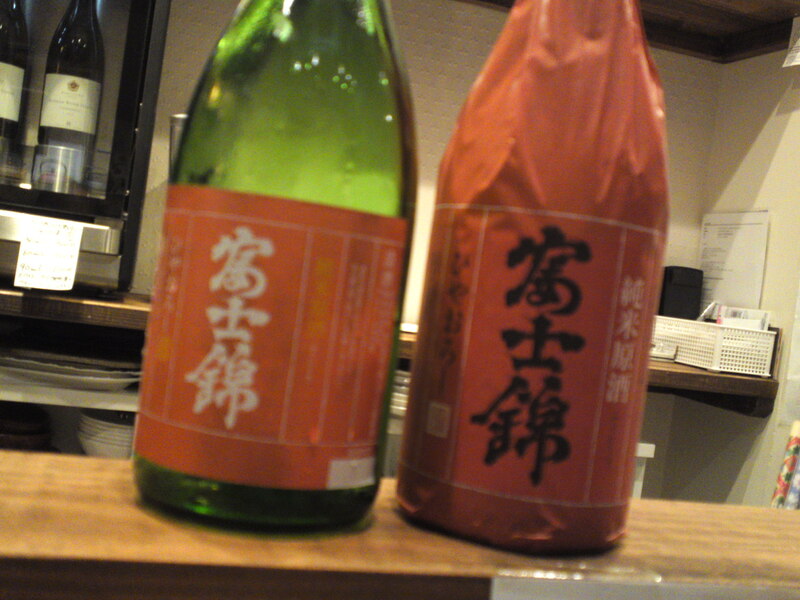 Best appreciated with heavy food such as izakaya fare. “Otafuku/お多福” is the name of a mask representing the visage of a woman with a small nose and large, round and smooth cheeks! The same woman is supposed to represent good fortune! 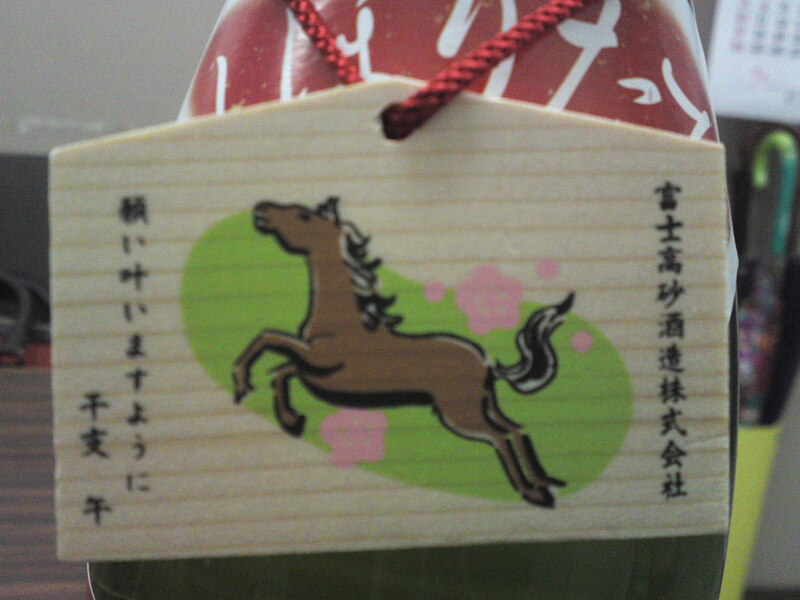 next year will the Year of the Horse! 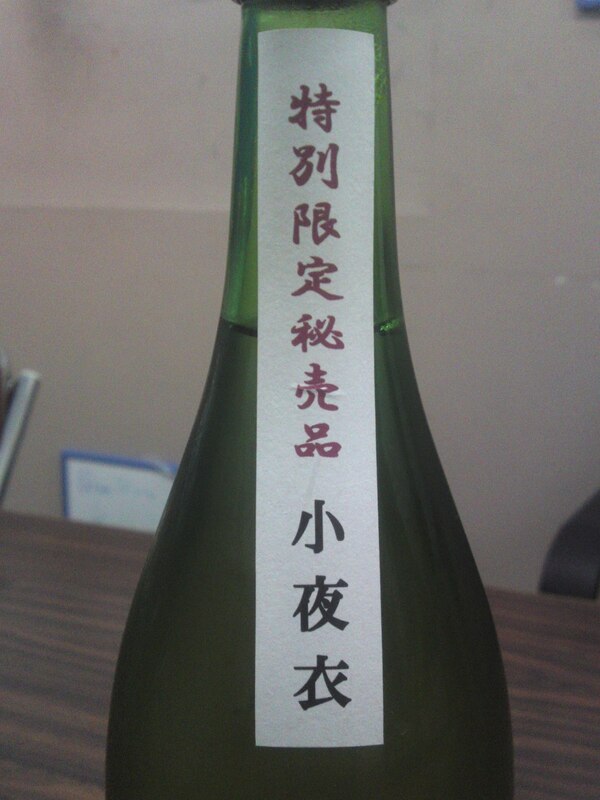 Fuji Takasago Brewery in Fujinomiya City produces this “Otafuku” sake to be drunk during the new year festivities. 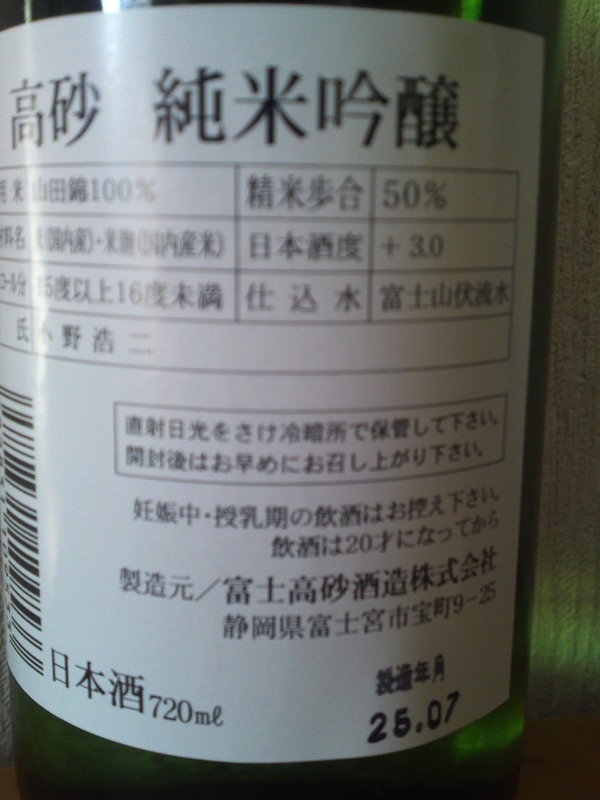 This particular brand is a “shiboritate/just pressed”, “nama/unpasteurised”, “genshu/no water added” and “muroka/unfiltered”! Taste: Very strong attack backed up with puissant alcohol. Disappears quickly on a very dry note with dry almonds and macadamia nuts. Changes very little with food. 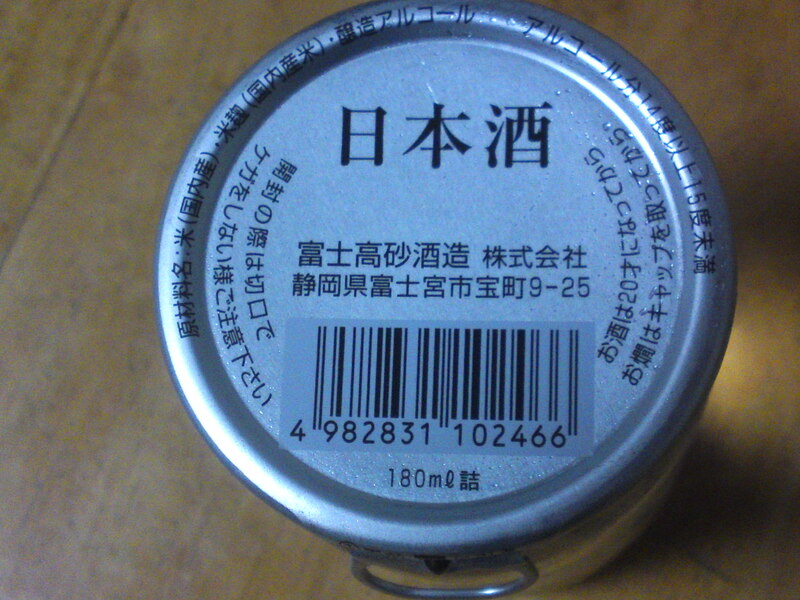 Enhances heavy food such as izakaya fare. 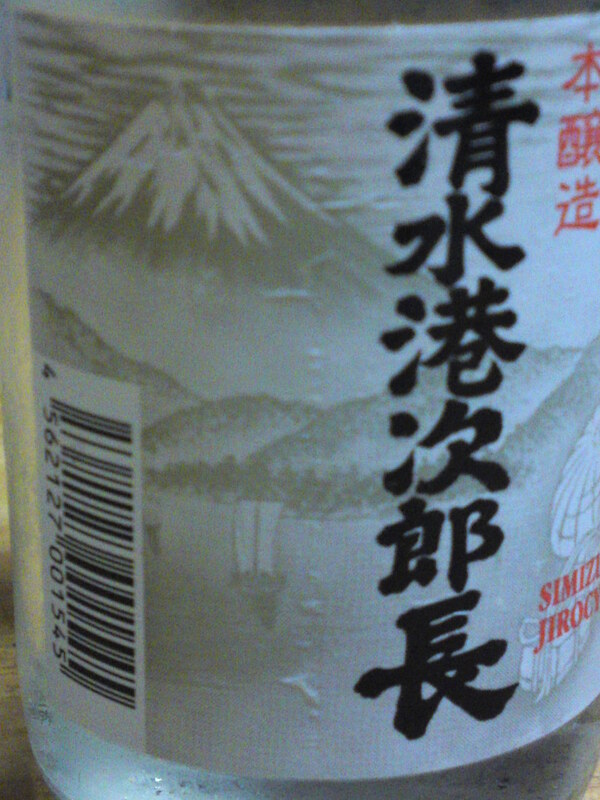 Overall: A straightforward strong sake for very dry sake lovers at parties and heavy celebrations! To be drunk moderately unless you don’t care! 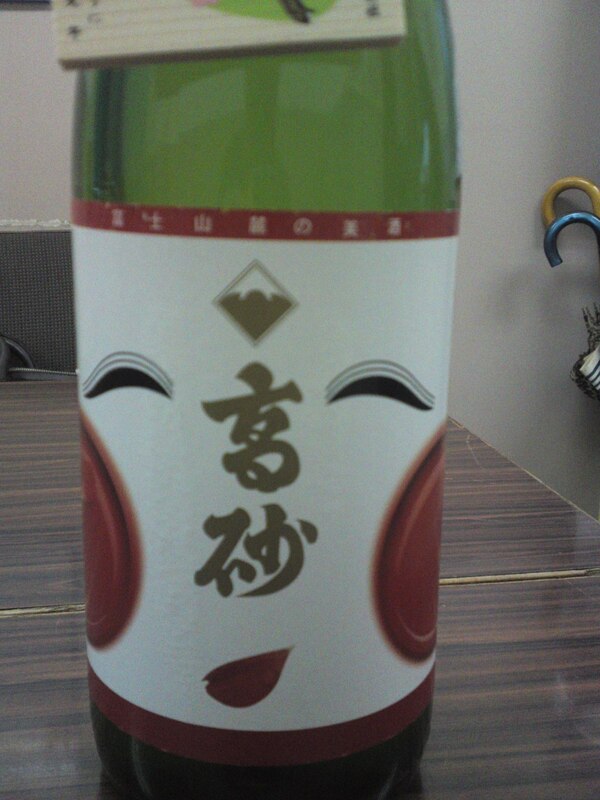 Hamamatsu-Tenjingura Brewery’s lady toji/brew master/mistress is busy putting out the new sake of the year! 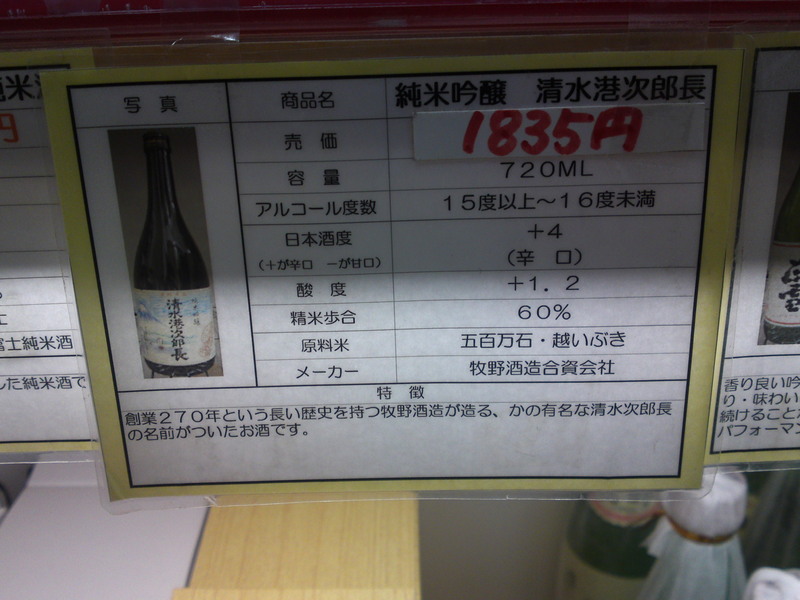 “Hatsushibori” means “First Press” and “Shinshu”, “New sake”! 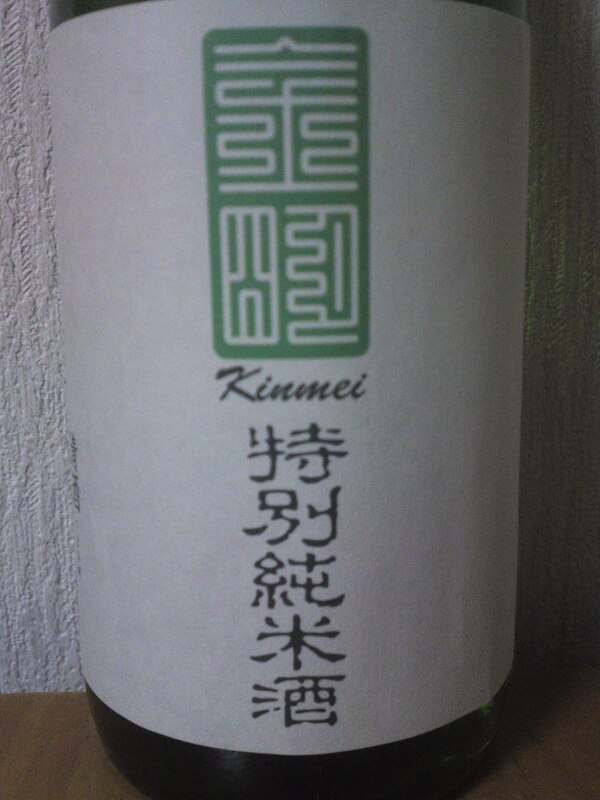 Taste: Dry and fruity attack backed by junmai petillant. Complex. Chestnuts, almonds, macadamia nuts. Varies little with food, but for a drier note. Marries well to any food. Overall: For all its complexity it is a straightforward brew particularly suited to heavy food in izkaya. Solid and reliable, bring it at a BBQ! 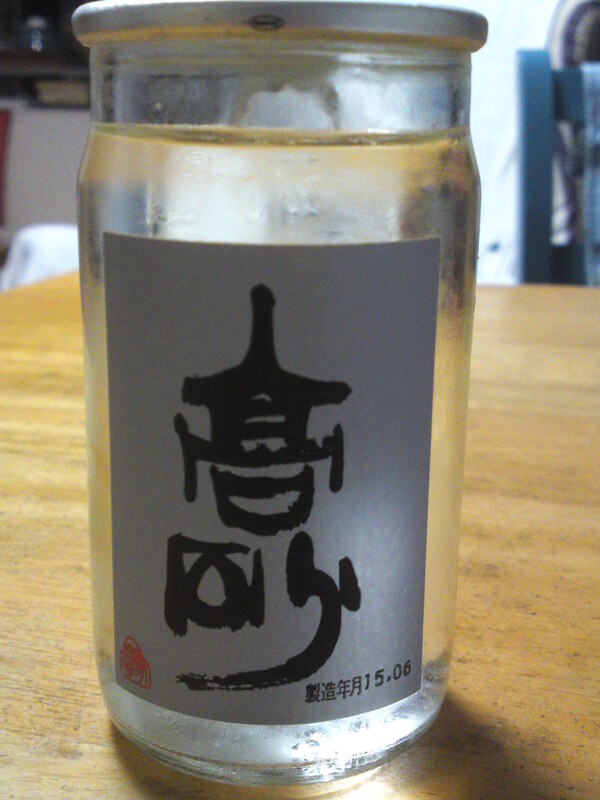 I was lucky enough the other day to discover this “koshu/old sake” by Sanwa brewery in Shimizu Ku, Shizuoka City! 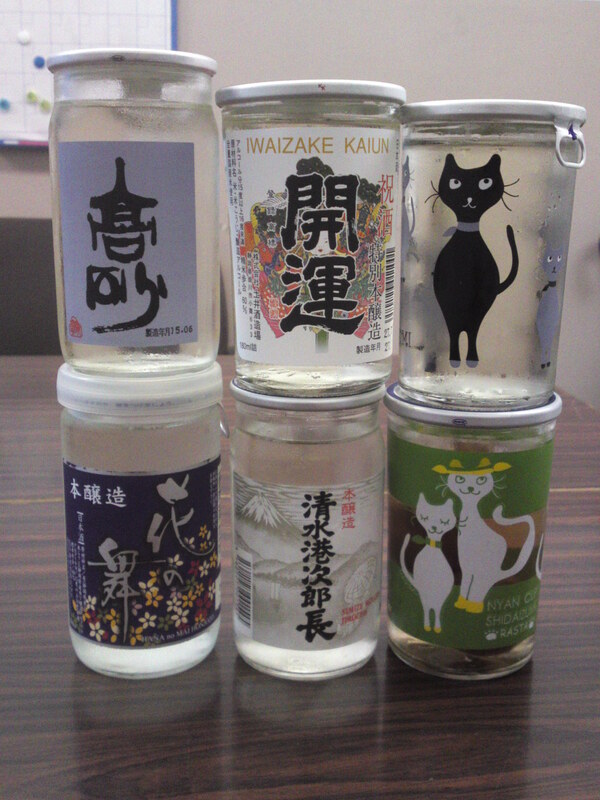 Such sake are rare, even in Shizuoka Prefecture, and you need luck to find them! I certainly didn’t hesitate as it would have probably been the last chance to acquire it! Matured for very long years! Aroma: Assertive. Very dry and fruity. Pears, apples. Complex. Reminiscent of a very fry white sherry wine. Very dry pears, apples, oranges, pineapple. Disappears quickly on a lasting dry nuts note. Persimmons making a comeback later. Show many new facets with every sip showing hints of nuts and chetsnuts. Overall: A superb aperitif to be enjoyed at the beginning of a special repast. Thoroughly enjoyable on its own. Probably best appreciated as a night cap reading a great book or watching a memorable movie after a great meal or sipping it in great company! More than a discovery, a privilege! 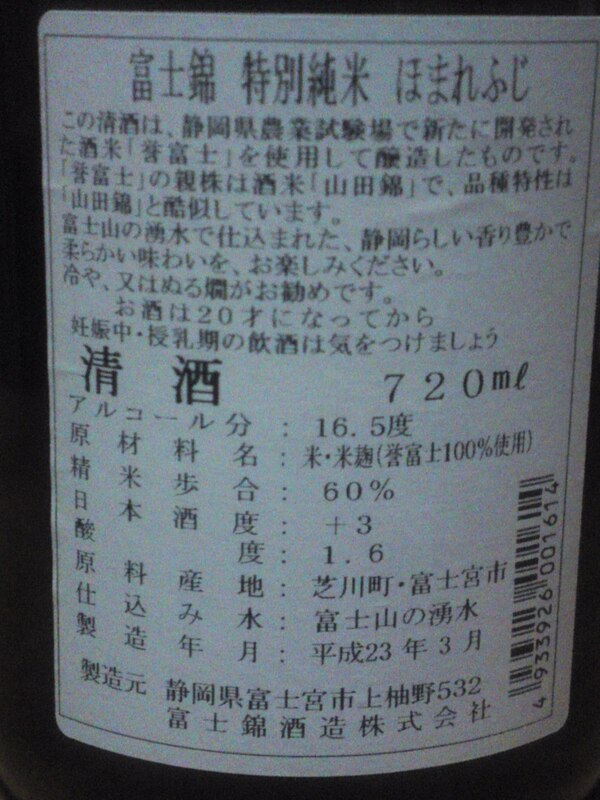 This is the season when Morimoto Brewery in Kikugawa City comes up with very limited brews as shown in the definition “Tokubetsu Gentei Hibaihin”/”Specila Limited For Reserved Clients”! Incidentally “Yuzuki” is the tradtional Japanese name for “November”! 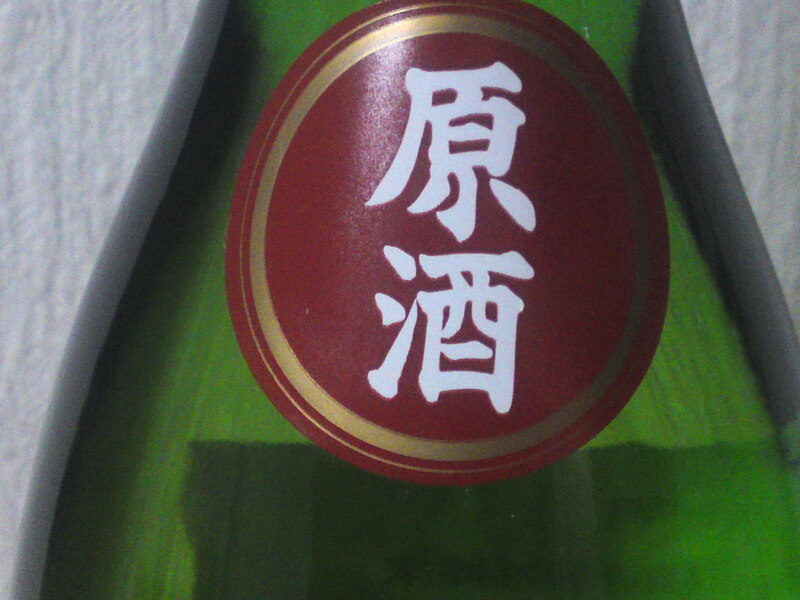 Taste: Assertive, dry and fruity attack backed by pleasant alcohol and puissant junmai petillant. Complex. Dry almonds, persimmons, macadamia nuts, custard. Makes for a drier turn with food. Junmai petillant still strong with food. 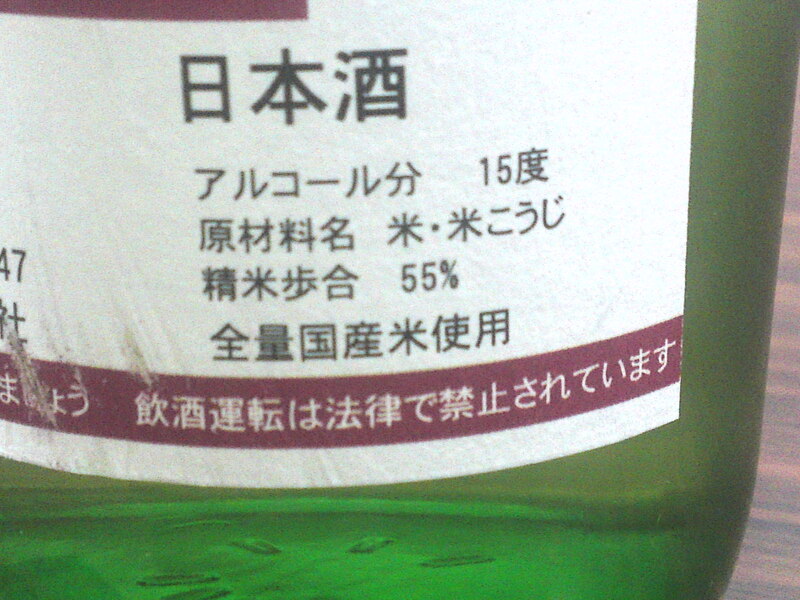 In spite of its normal content alcohol stays strong and pleasant all the time. Overall: Very &”macho” sake by Shizuoka standards, but typical of Morimoto Brewery which always bound to concoct something different. 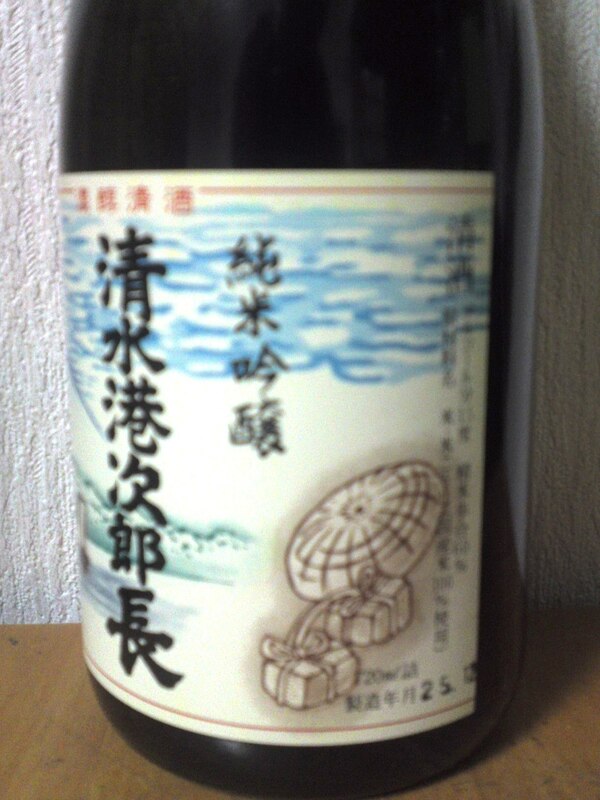 A sake to be enjoyed by dry but complex sake lovers. Would marry n\magnificently with any food as very close to a well-rounded dry wine! 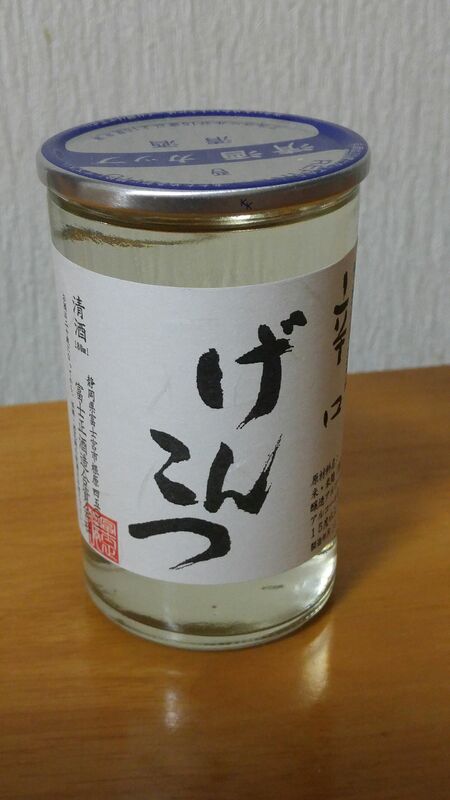 Negami Brewery in Gotemba City have always been ahead of the other breweries in Shizuoka due to the fact they practically brew all year round at an altitude of 550 metres on the slopes of Mount Fuji, hence this very early shiboritate/just pressed sake! the bottle as it is marketed! 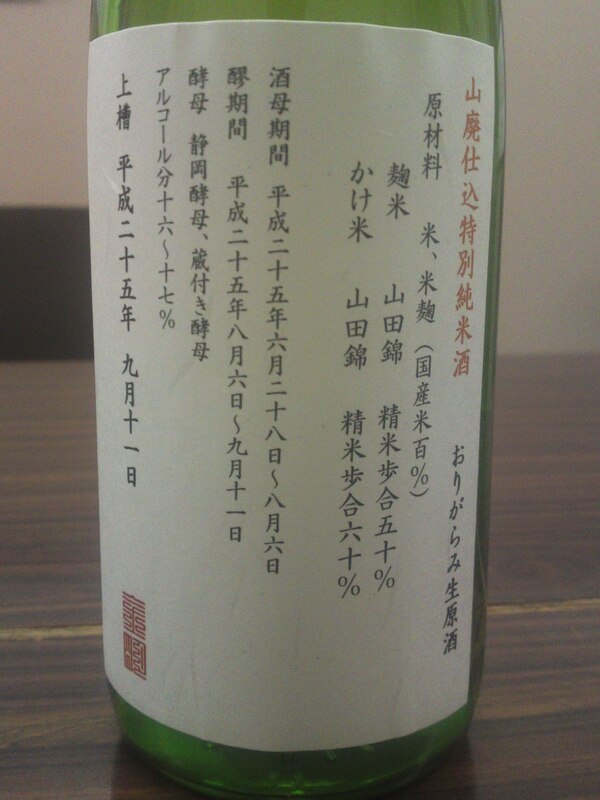 Not only it is a tokubetsu junmai but it is also a genshu and nama, meaning it hasn’t been “manipulated”! 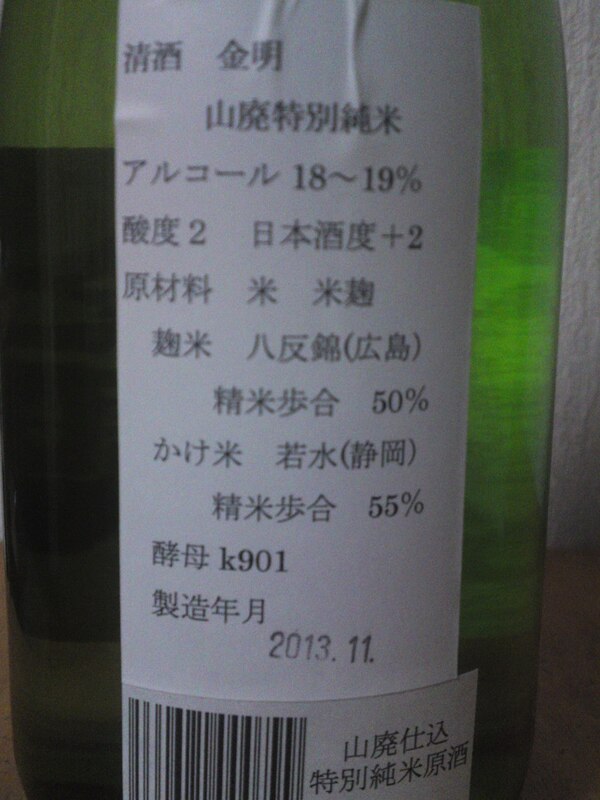 Taste: Dry and very fruity attack backed up with pleasant alcohol and puissant junmai petillant. Pears and custard with hints of dry nuts/macadamia. Disappears quickly on a drier note. Almonds appearing with later sips with notes of grapes, dark chocolate and coffee beans. Gets very dry with food. Junmai petillant stays strong all along. Calls for the next sip. 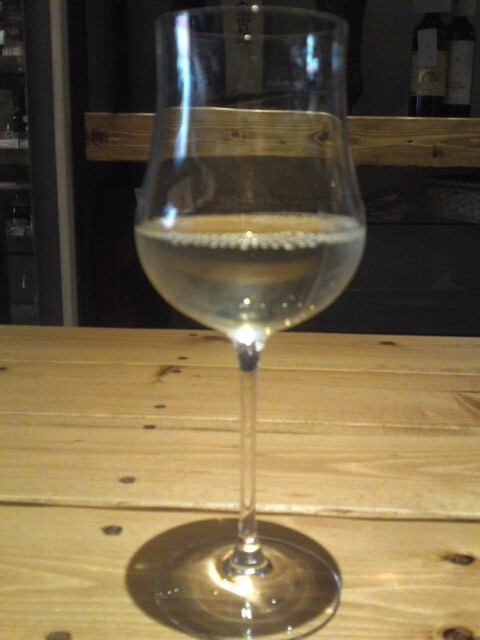 Drinks like a dry white wine. 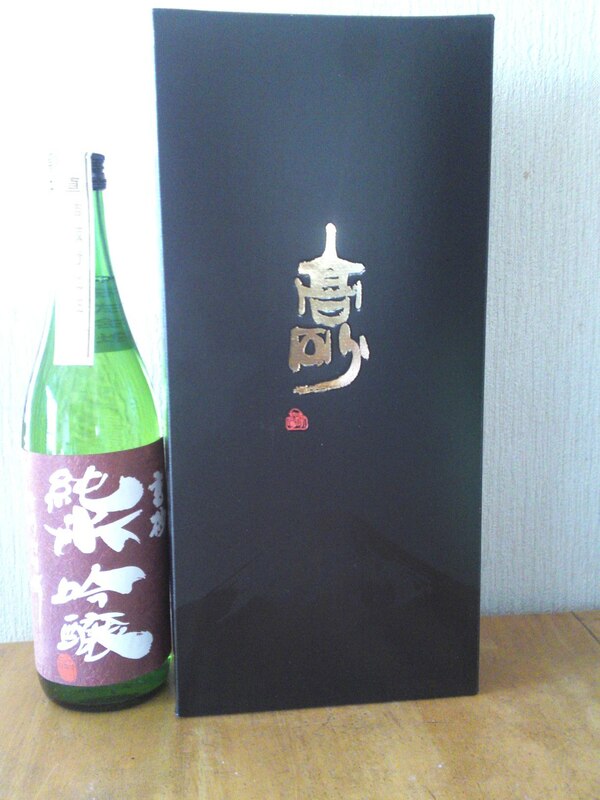 Overall: A superb and complex sake typical of Negami Brewery! 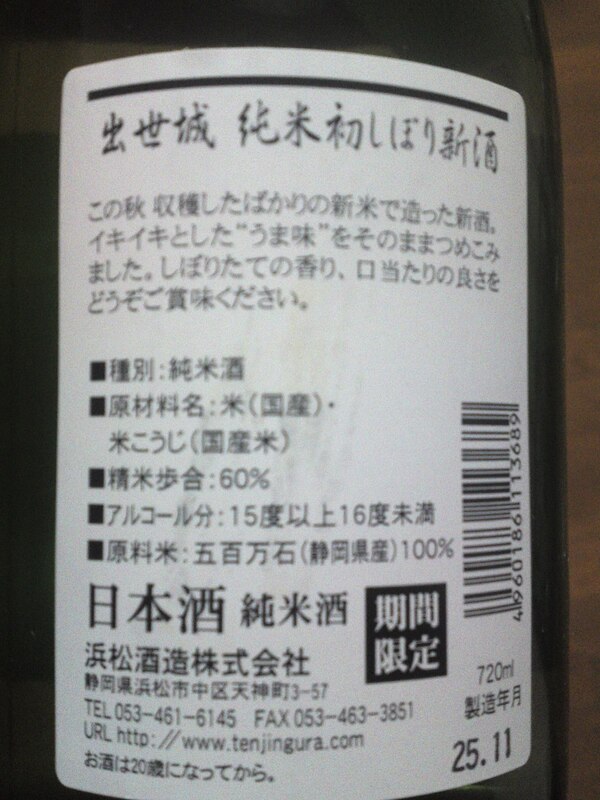 Will drink as a wine although the alcohol content is high. Preferably drink it with solid food. 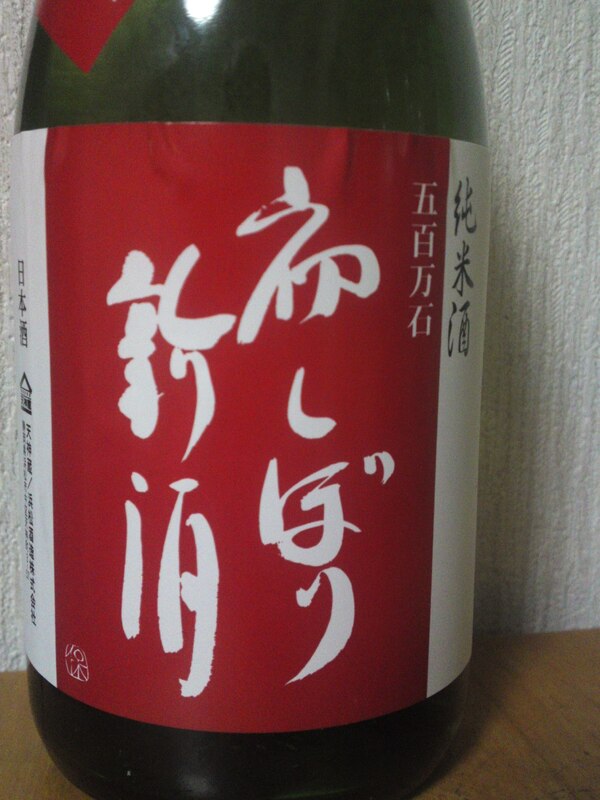 Now is the season for “Hiyaoroshi” that is the outpu of sake that have been pasteurized only once. 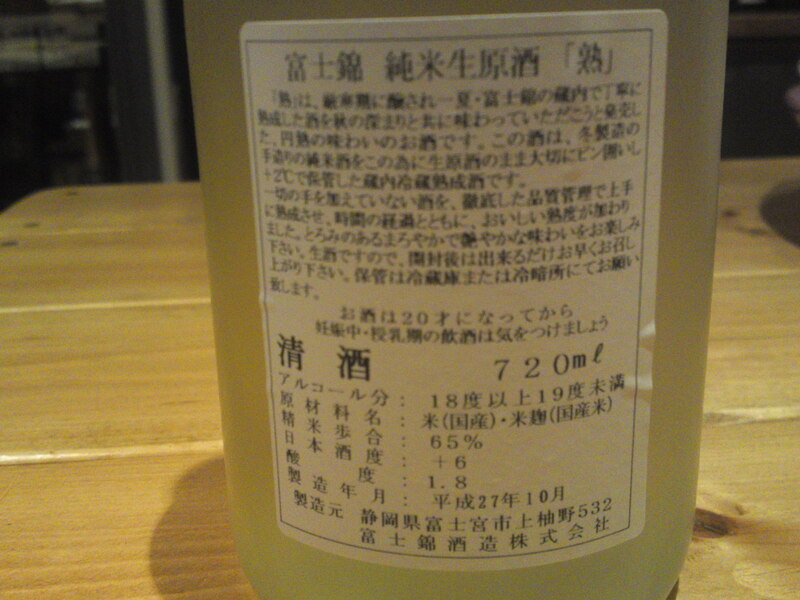 They could be considered as halfway between nama/unpasteurized and normally twice-pasteurized sake. Due to its location at more than 500 metres on the slopes of Mount Fuji in Gotemba City Negami Brewery brews practically all year round, and this Yamahai was conceived during the summer partly with rice from Hiroshima and mainly from Shizuoka Prefectures! 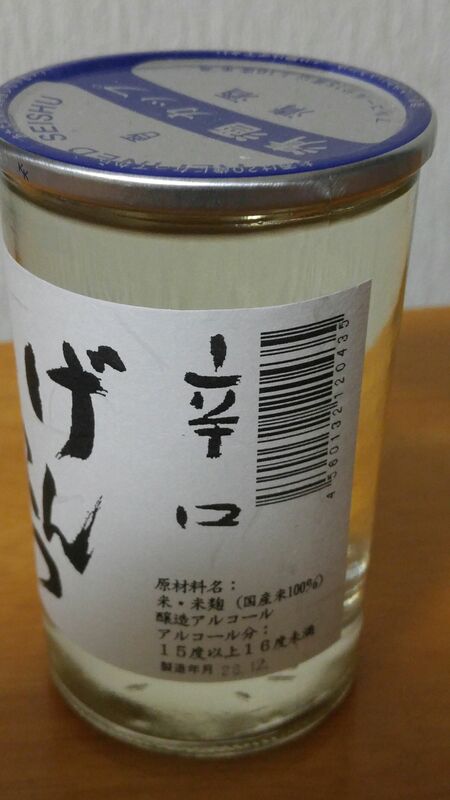 The fact that it is a genshu/no water added and a junmai:no alcohol blended in means that this particular brew is the genuine product! 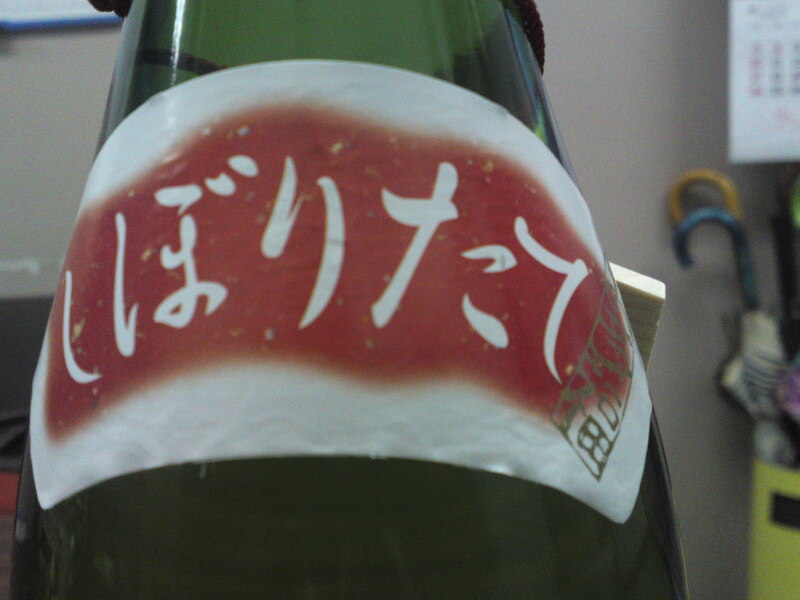 Taste: Very dry and fruity attack backed by pleasant alcohol and puissant junami petillant. Welcome acidity. Lingers for a while late hints of pears and coffee beans. Varies little with food but for getting drier with more persimmons. Dark chocolate and milk coffee appear with later sips. 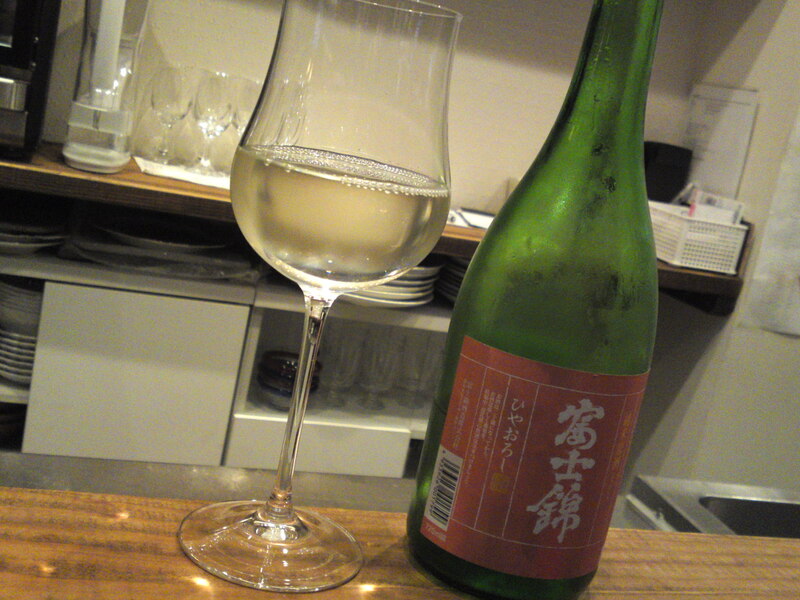 Marries well with food, especially heavy izakaya fare. 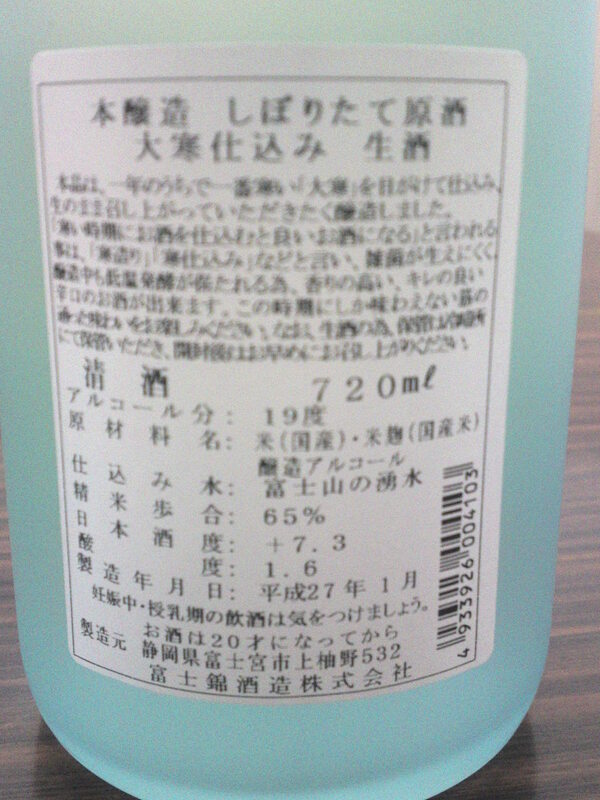 Overall: A very solid sake unusual by Shizuoka standards. Obviously designed to accompany food, especially izakaya fare. Although only a + 2 dryness is stated, it does feel far drier probably due to the comparatively high acidity. 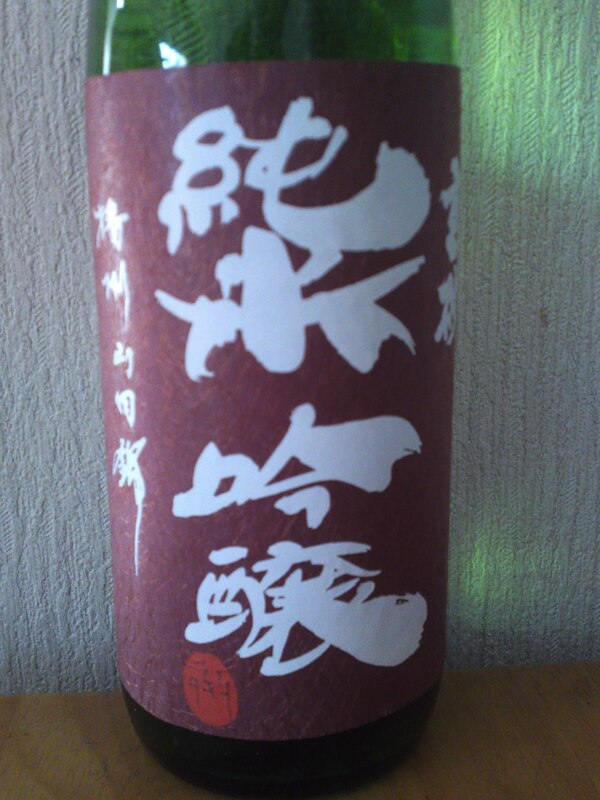 A “macho” sake by Shizuoka standards to be enjoyed with oden for example! When you are looking for Negami Brewery you need to be on a constant look out and still benefit from a lot of luck! I found it in S Pulse Dream Plaza of all places and there were two different types, one of nigori/white lees and one of ogarami/little white lees. As there was only one bottle of the latter I didn’t hesitate. The other interesting aspect was the label which described the brewing in great detail! 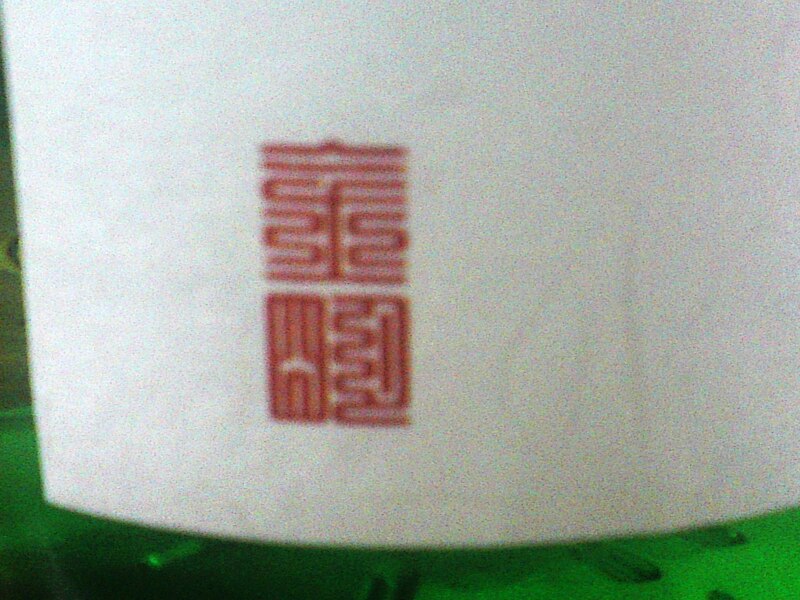 The only indication of the Negami Brewery Brewery Negami brand is found in the seal at the bottom left of the label! 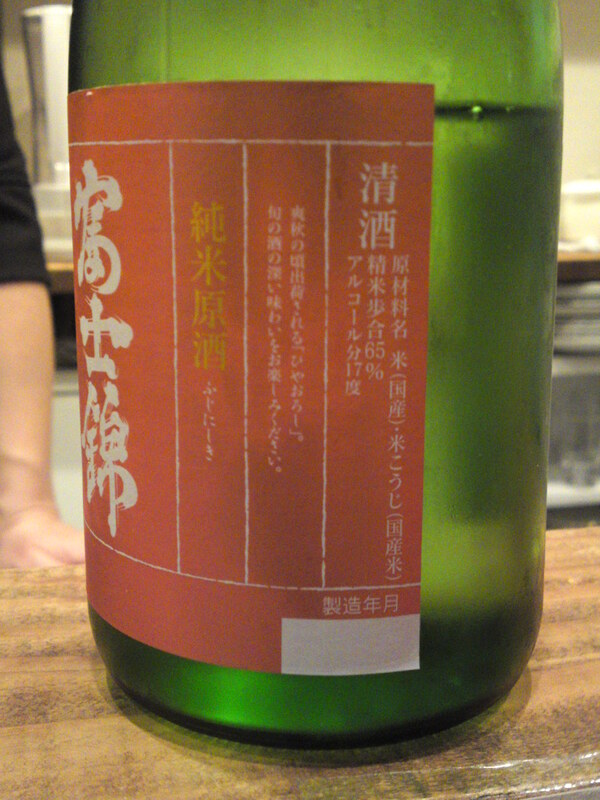 Taste: Strong well-rounded attack backed up with pleasant alcohol and puissant junmai petillant. 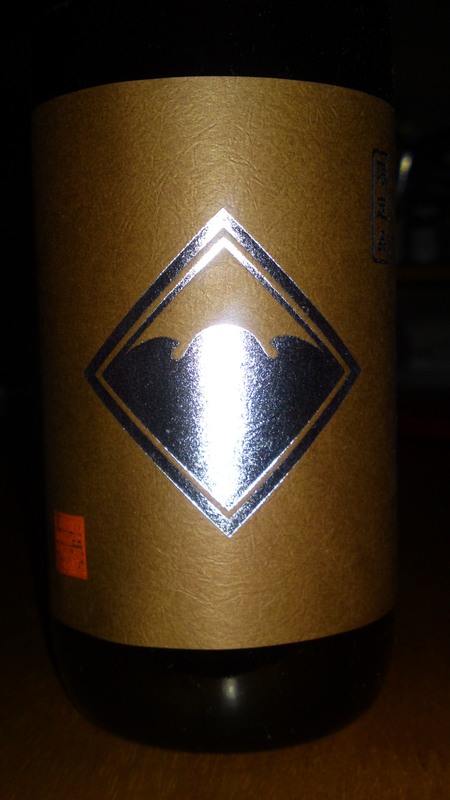 Very fruity: plums, dry persimmons with notes of custard, dark chocolate and raisins. Surprisingly stands up to food with a sweeter note, but definitely more enjoyable on its own. Both delicate and assertive in spite of high alcohol content. Overall: A discovery! 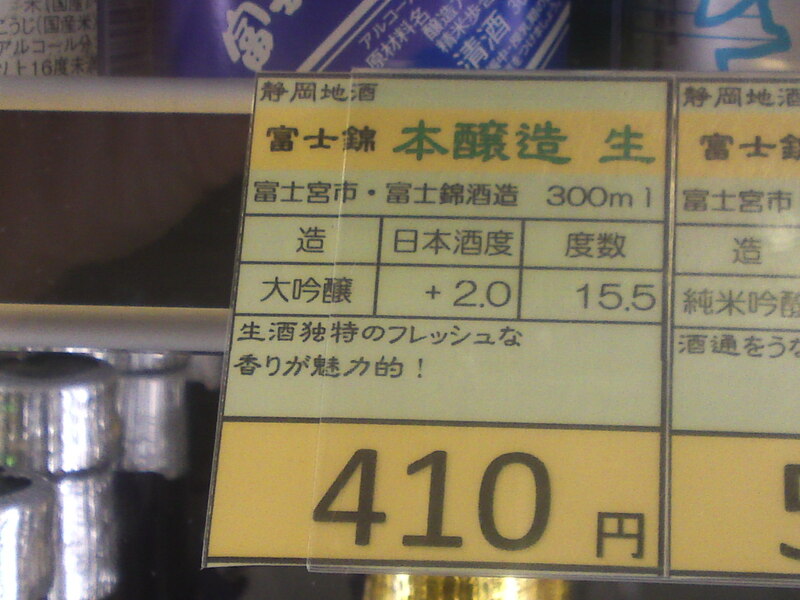 And such a rare sake to boot! Makes for a superb aperitif best drunk at room temperature to discover all its changing facets. Would do brilliantly with cheese and desserts, too! Pity it is so limited! 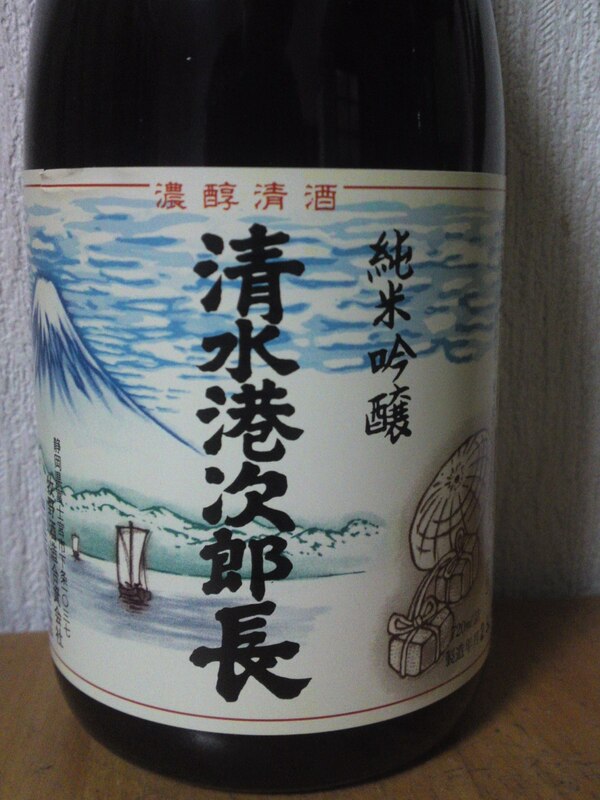 There are presently 19 out of a total of 28 (active) Shizuoka prefecture breweries producing some of their sake made with Shizuoka-grown Homarefuji sake rice. 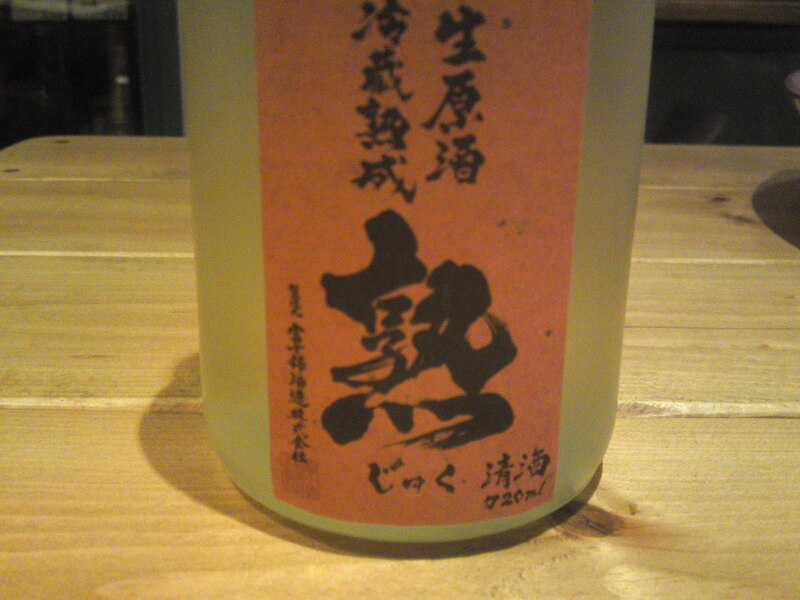 This rice is a hybrid developed from Yamada Nishiki sake rice. We are certainly bound to see more of it with other Shizuoka-grown rice, not only from the taste and the economical point of views, but also because sake rice “imported” from the north of Japan might become scarce! Taste: sweetish attack, turns quickly dry with almonds. Almonds combined with macadamia nuts and dry walnuts. persimmon. Lingers on with a very dry note. Changes little with food, but combines very well with any kind. 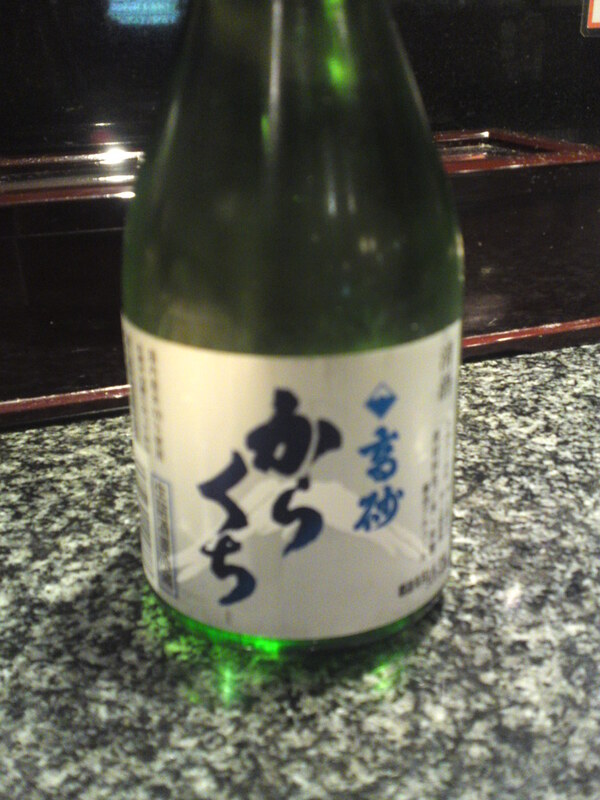 Overall: A straightforward sake with a “macho” character. Strong, solid, but not overwhelming. Probably best appreciated with food because of its high alcohol content. 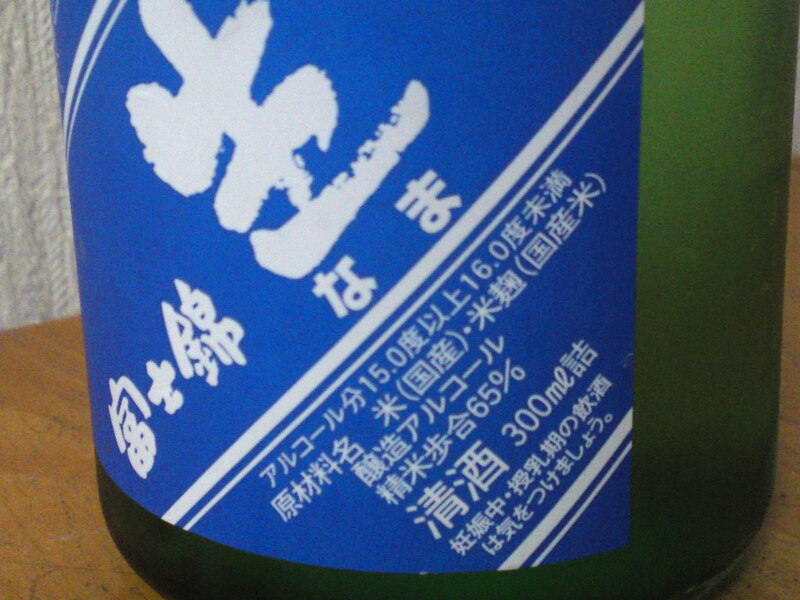 Although the Fuji-Takasago Brewery in Fujinomiya City is part of a larger conglomerate, all the staff is from Shizuoka Prefecture and the sake there are made exclusively according to methods prevalent in the Prefecture. 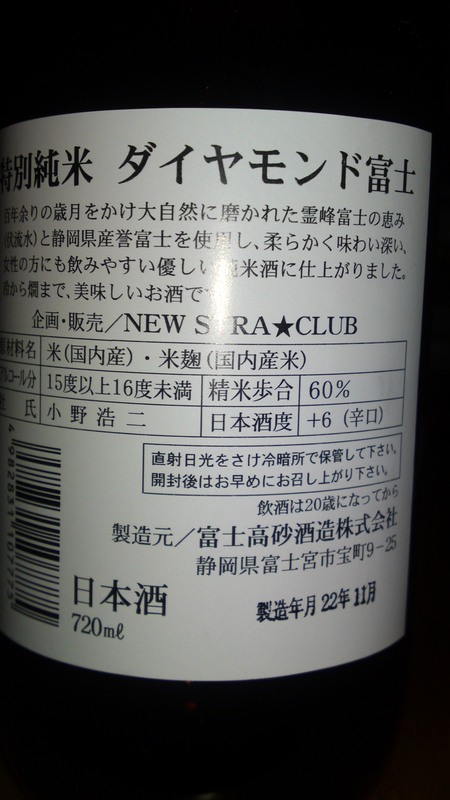 Moreover, they are active in promoting sake rice grown in Shizuoka Prefecture. In this particular case half of the rice used for this brew is Homare Fuji, a Yamada Nishii hybrid developed in Shizuoka Prefecture. 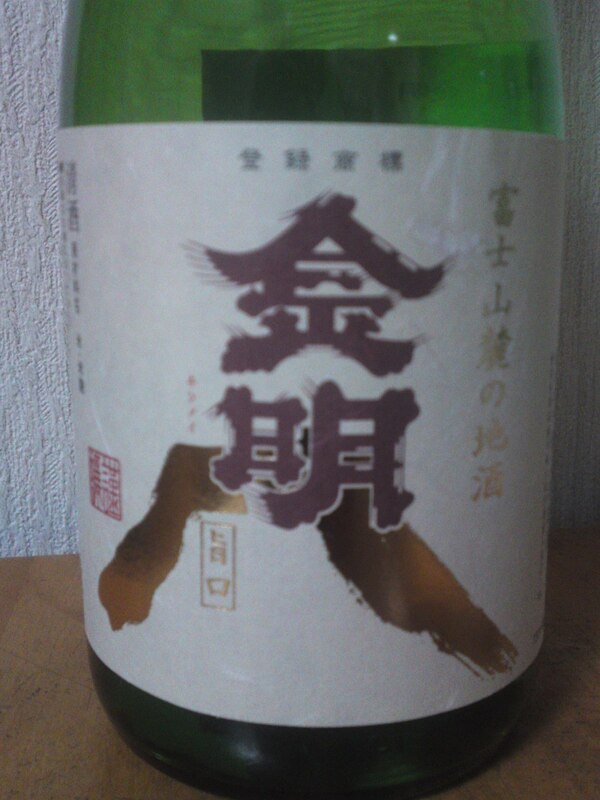 Taste: Very dry attack backed up by Junmai petillant. Quickly disappears with a soft custard note. Very soft and easy to drink in spite of its softness. 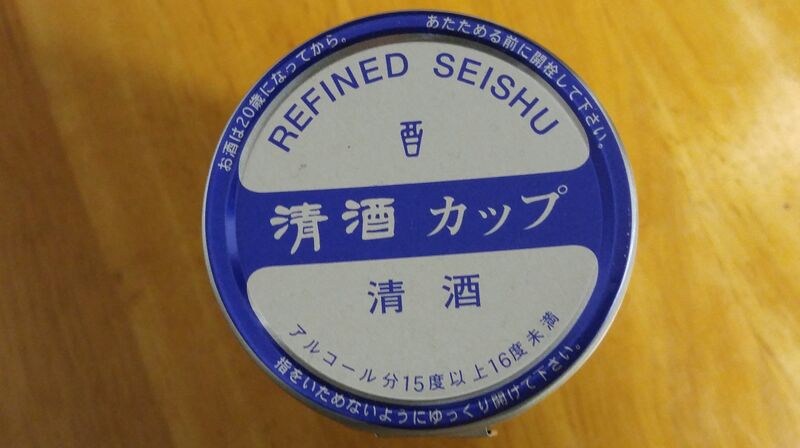 Goes very well with fish and sashimi. 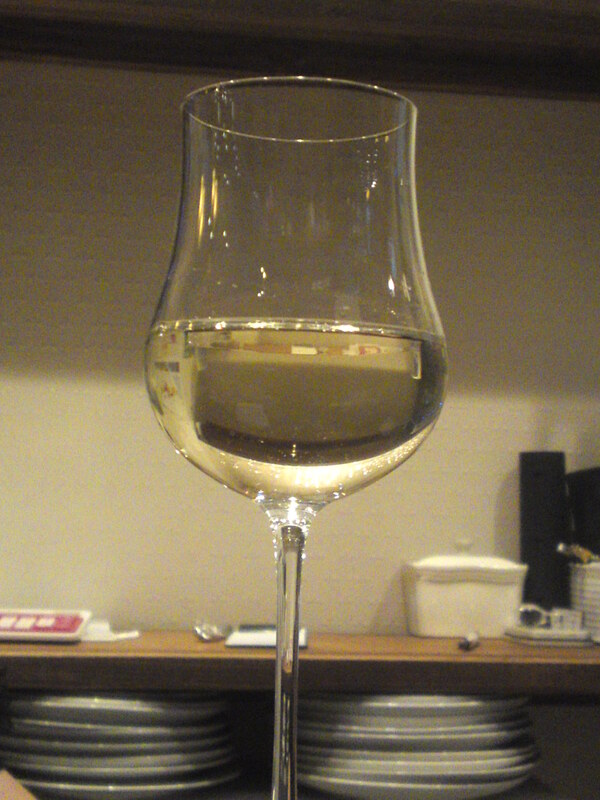 As nurukan/lukewarm: Turns sweeter with a short strong junmai pang with a quick comeback on the drier side. 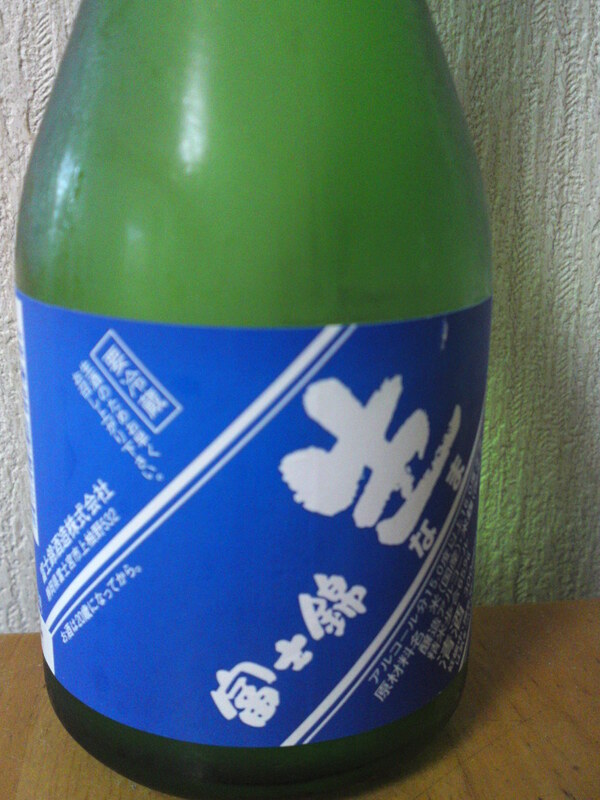 very pleasant as a warm sake. 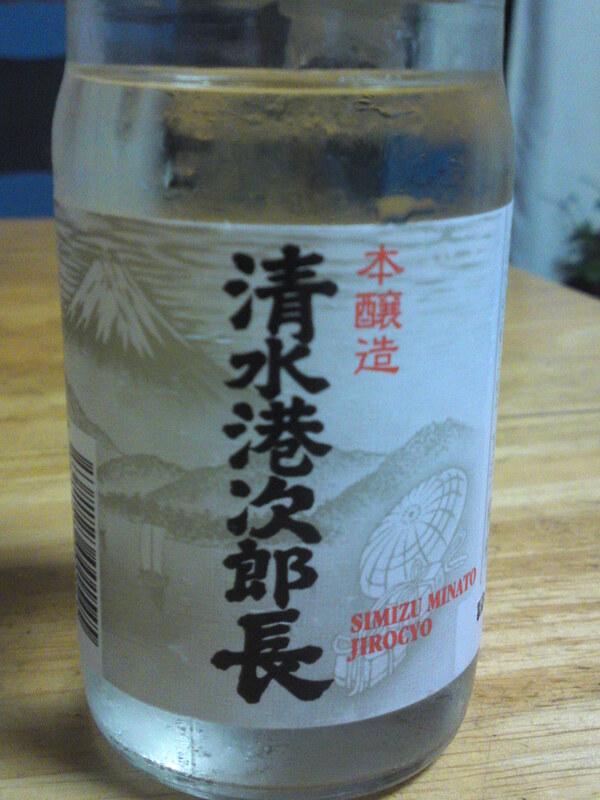 Overall: Very pleasant and easy to drink sake. Goes well with any food, raw or cooked. 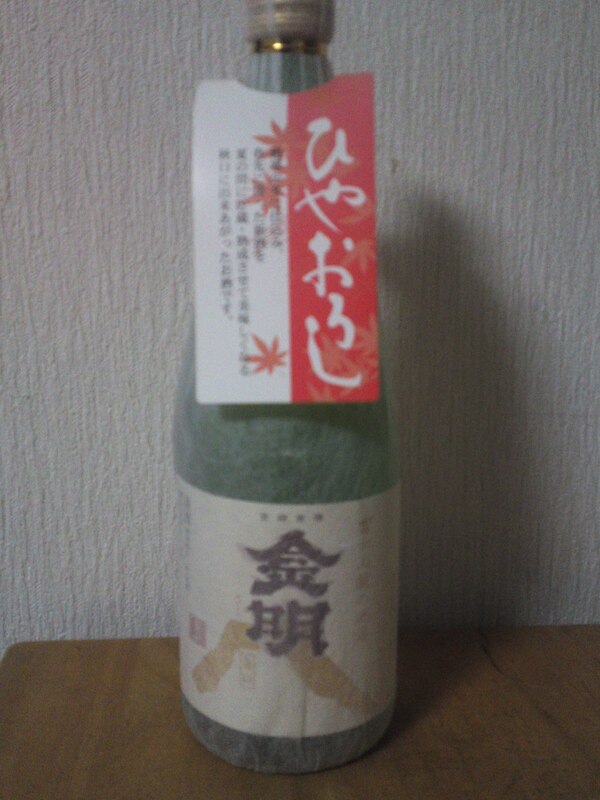 A sake to please everyone! 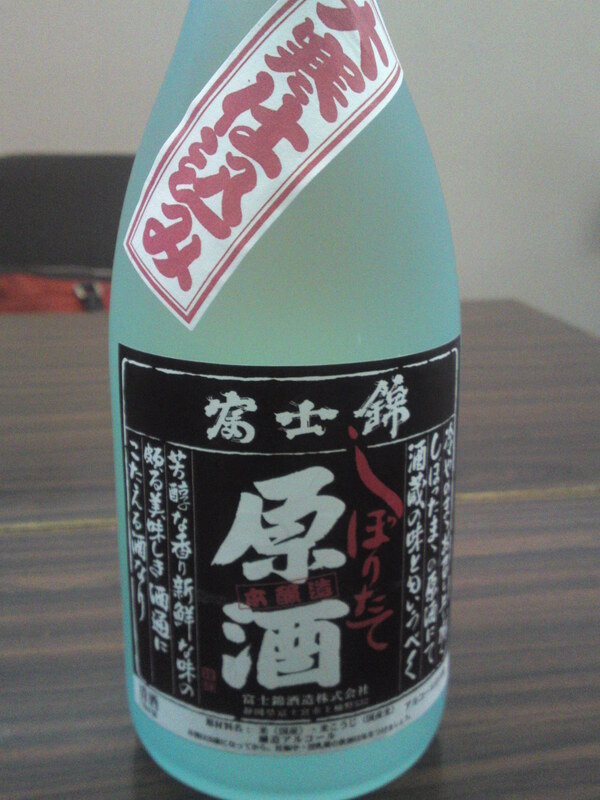 A great sake for a great party!